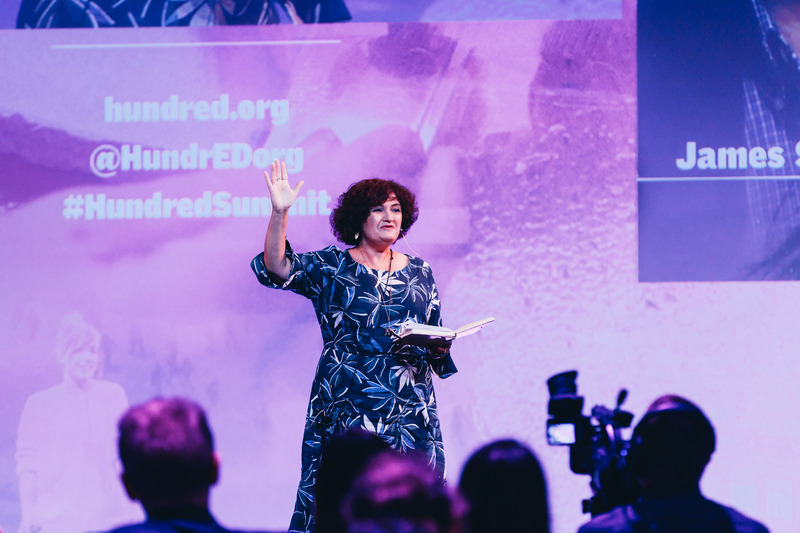 You can join HundrED Innovation Summit by watching free-of-charge online stream. 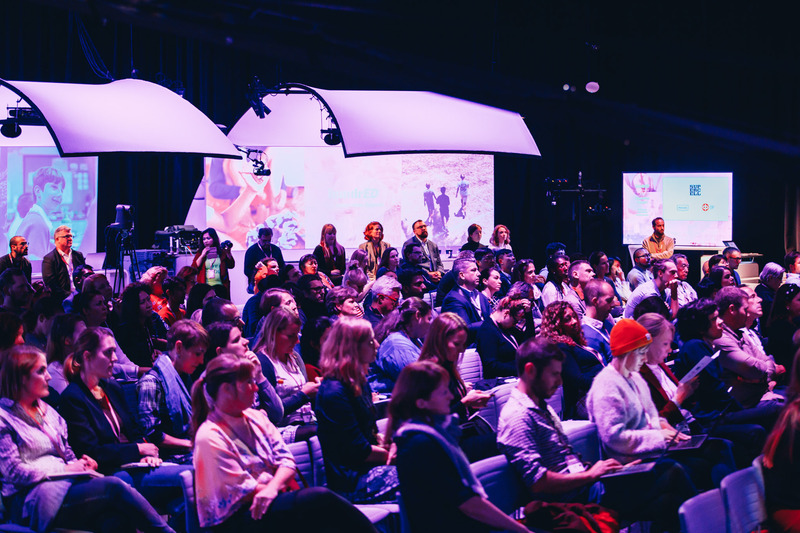 All the keynotes will be also available after the event. 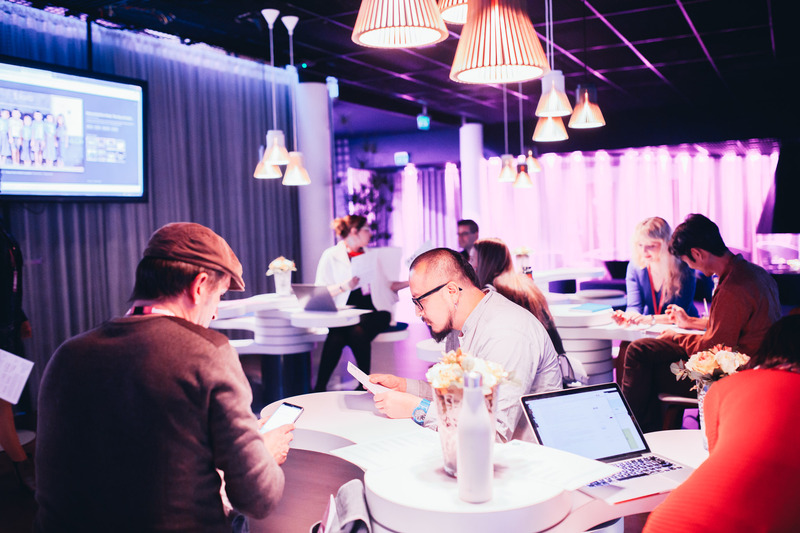 Please register your email address to get more information about the online stream closer to the event. 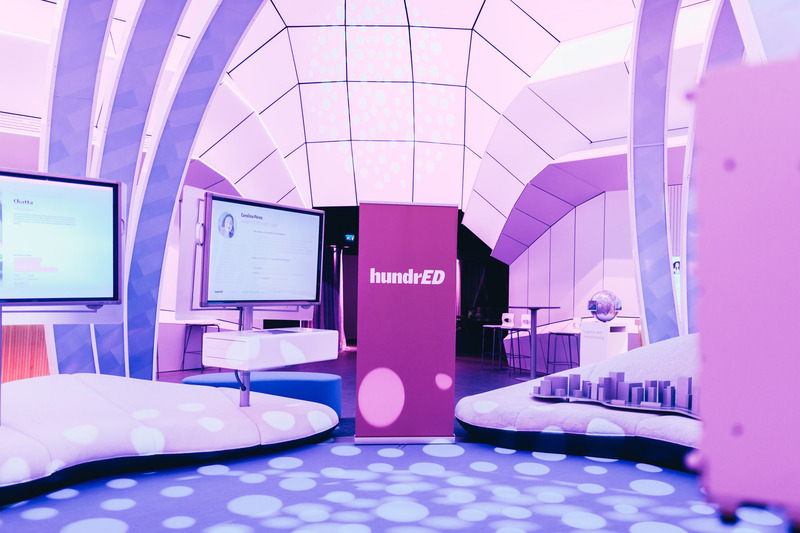 I would also like to receive weekly newsletters from HundrED. 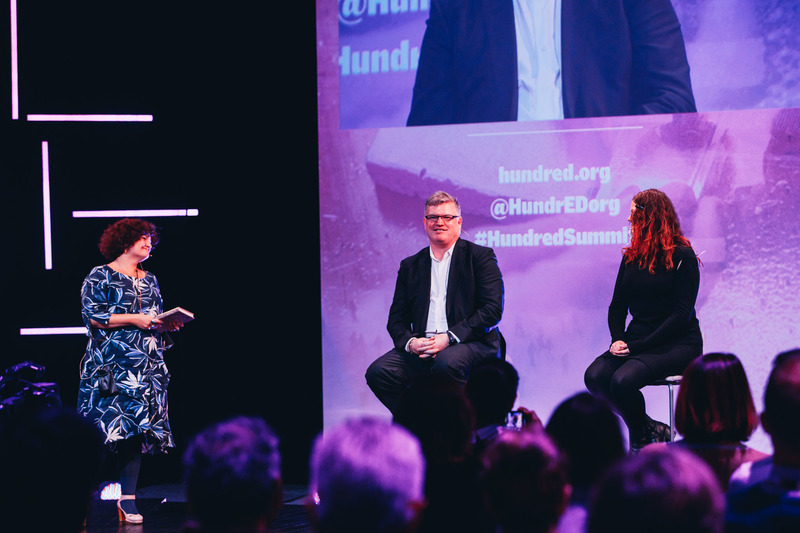 I would like to get more information about HundrED Innovation Summit Online Stream. 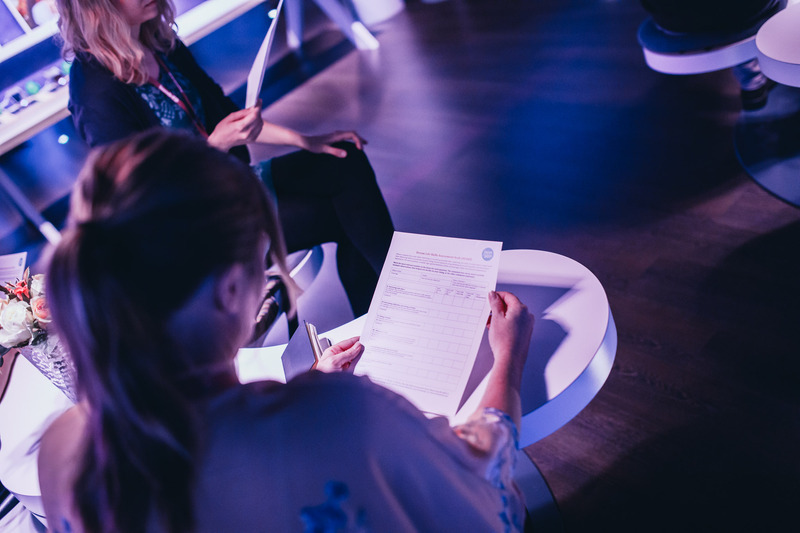 We have now received your request for the invitation. 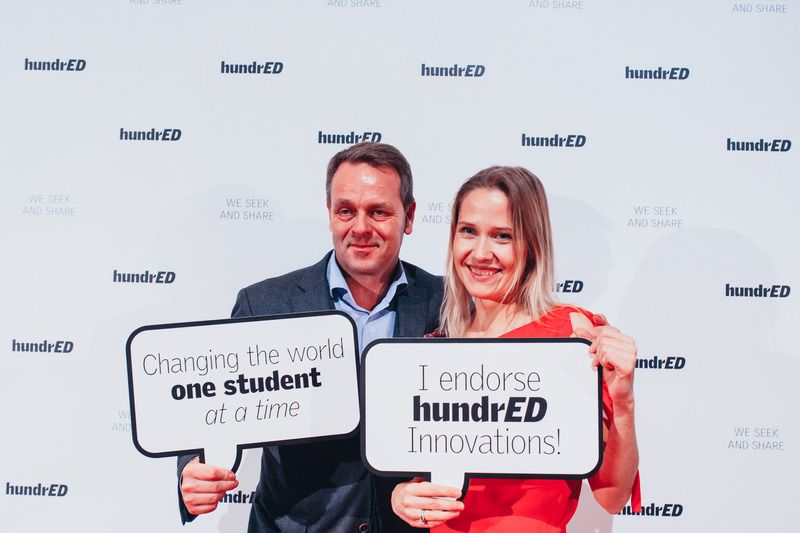 Our 100 Inspiring Innovations Of 2019 Have Been Announced! 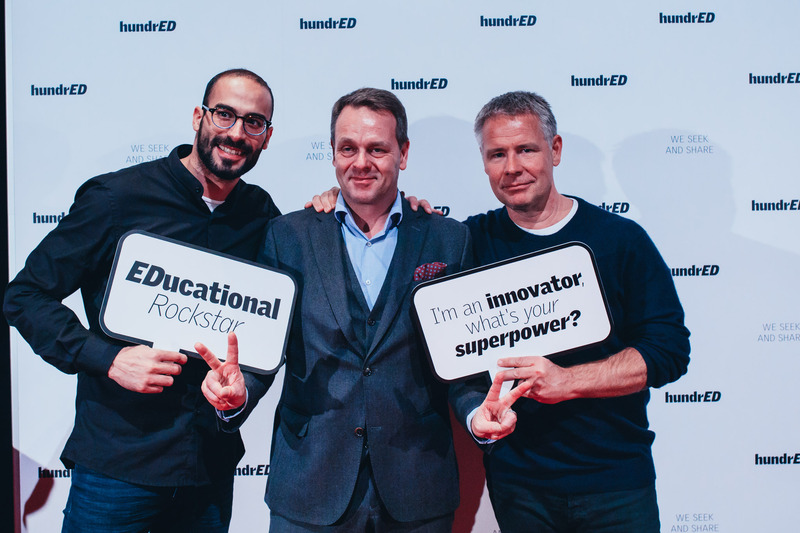 This year's collection of 100 inspiring innovations in education have been released! 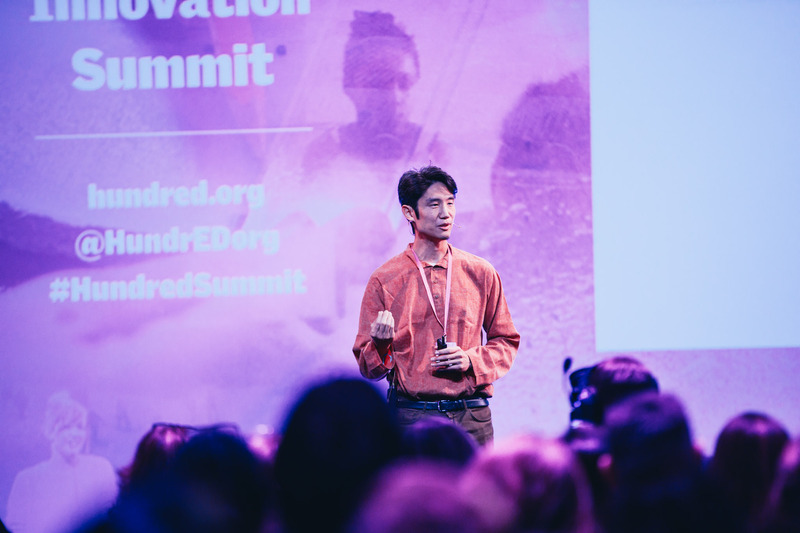 Find all 100, for free, on our platform and discover the world's leading education innovations. 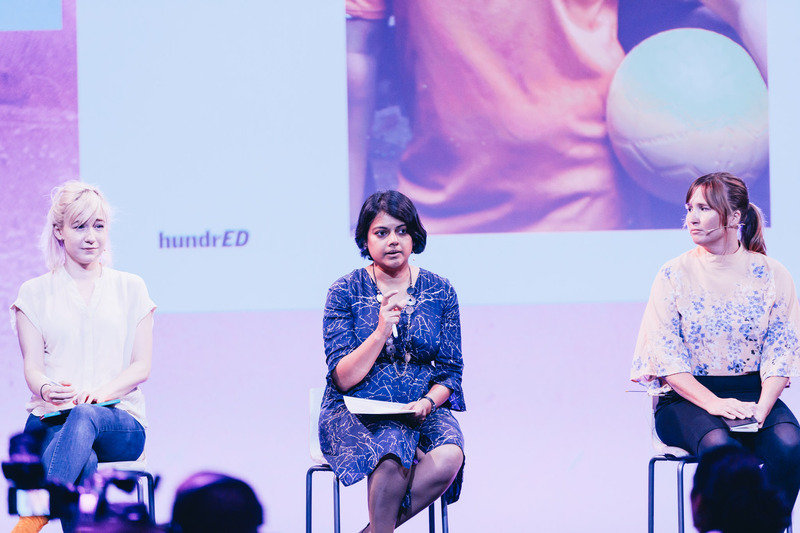 What Does This Year's 100 Inspiring Innovations Tell Us About Education Globally? 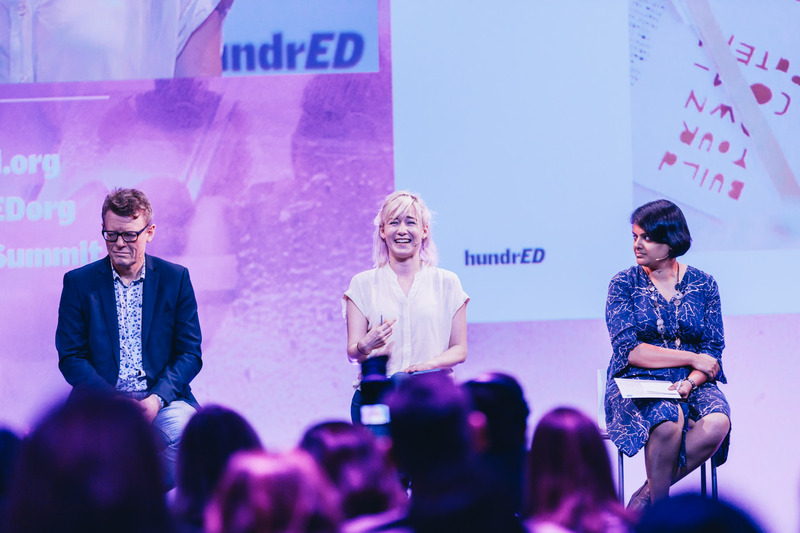 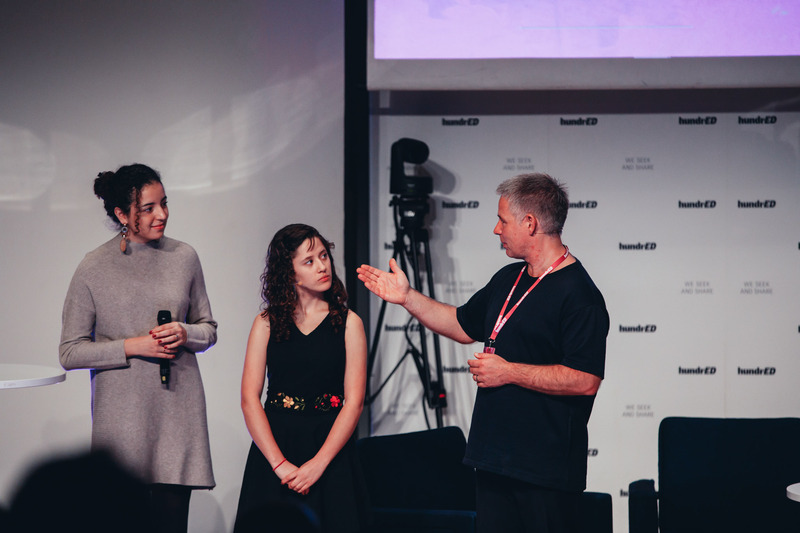 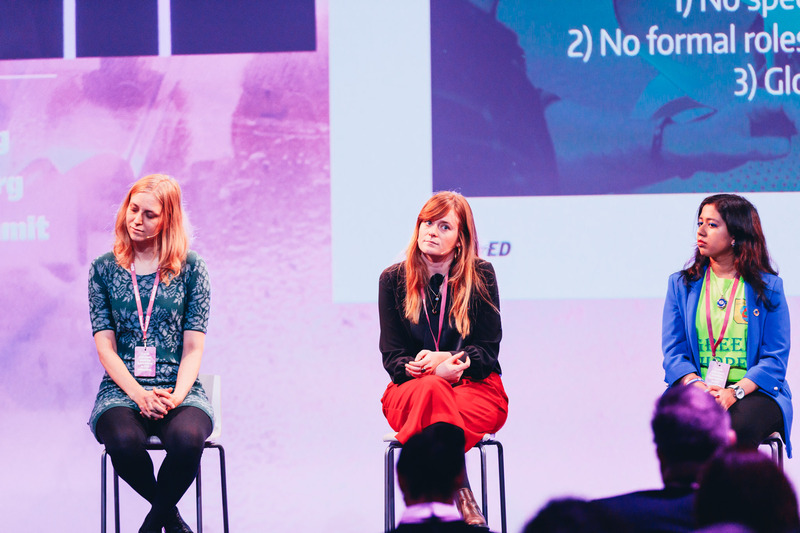 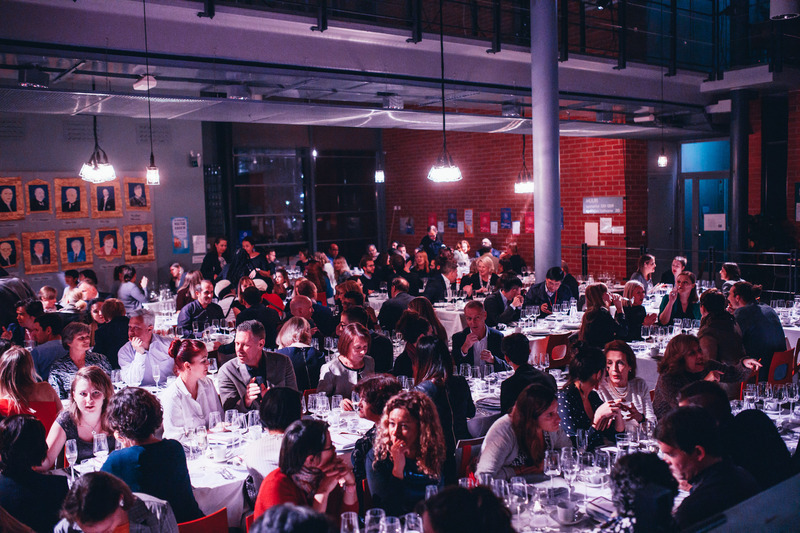 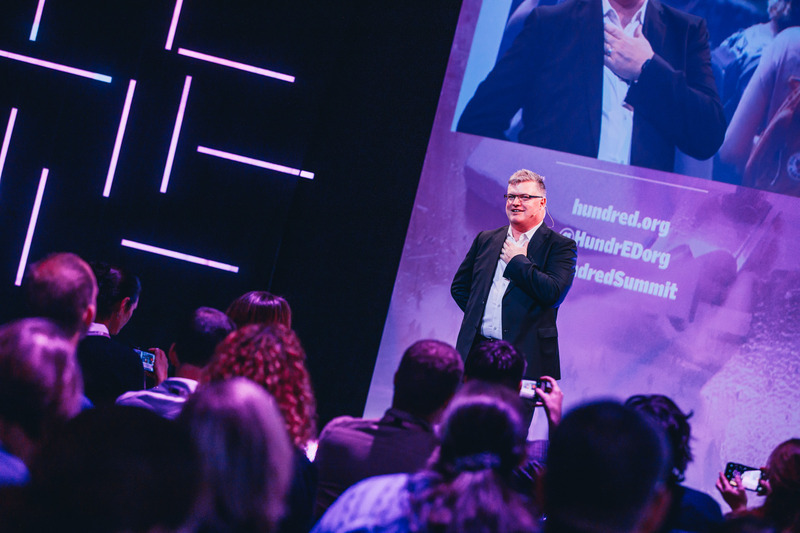 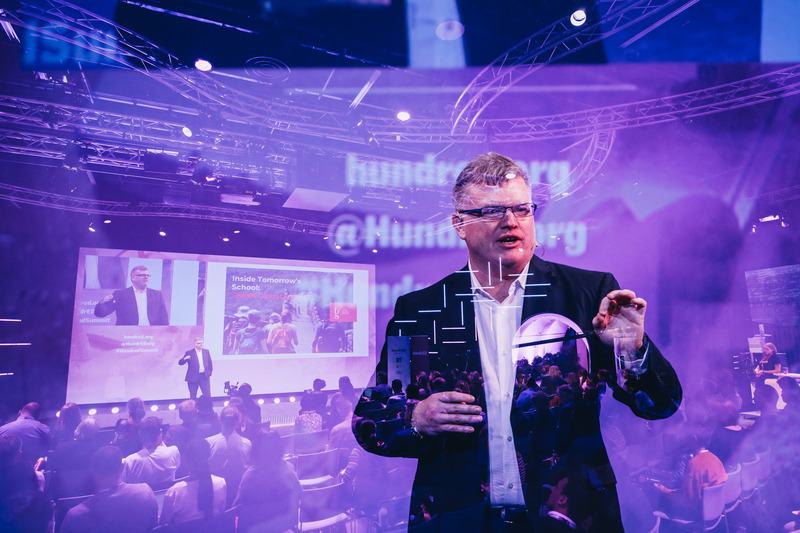 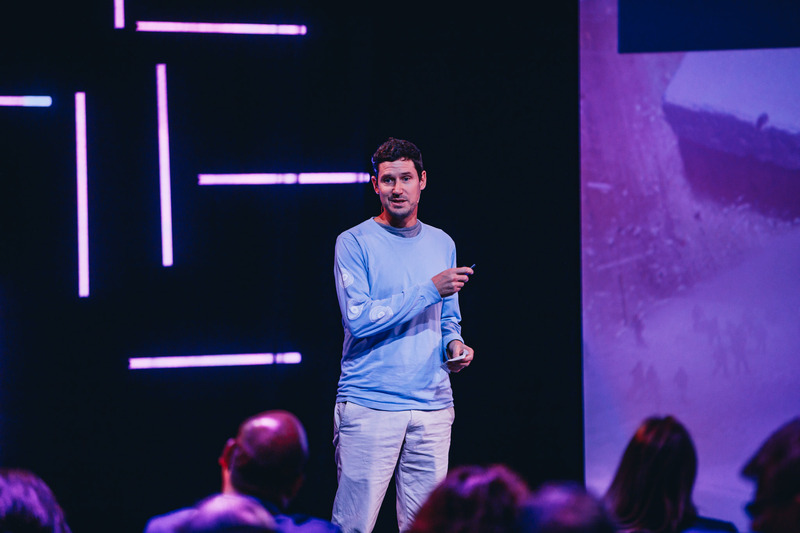 The HundrED Summit brought together the world's most inspiring innovators in education. 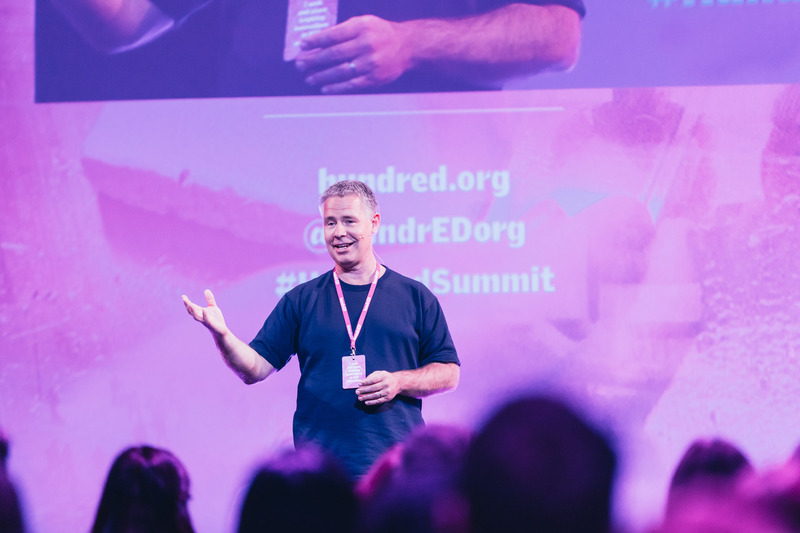 Across the three days, over 200 education innovators shared their expertise and experience through keynotes, workshops, and masterclasses. 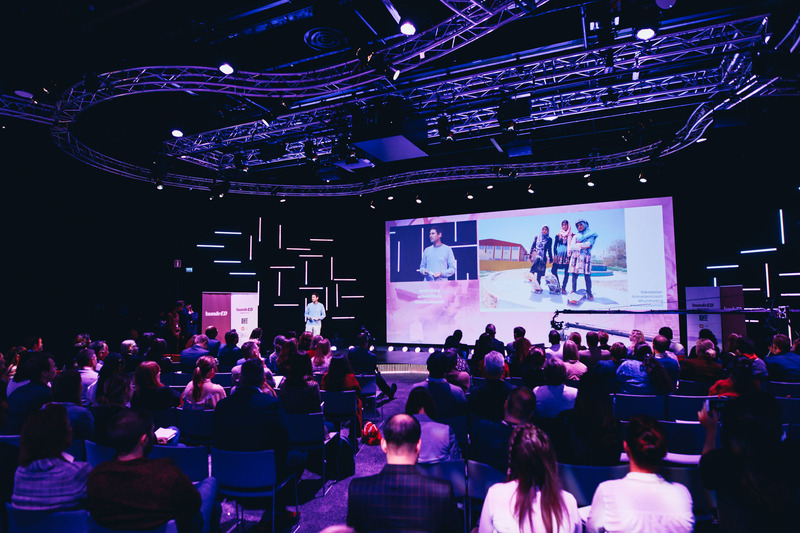 From learning how to spread innovations to 100+ countries, to debating whether students can change the world if adults cannot, to discovering the experience of building a Finnish preschool in China – this year's Summit explored the biggest, most innovative themes in education! 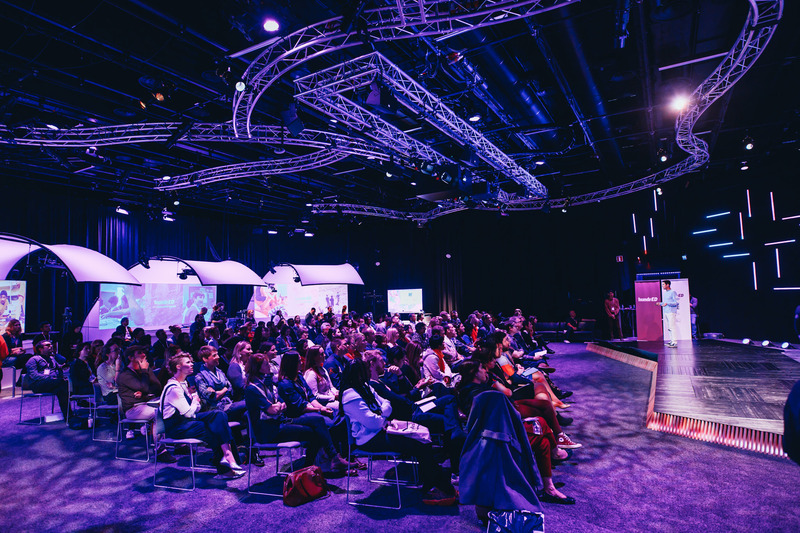 Check out our speakers and the sessions below. 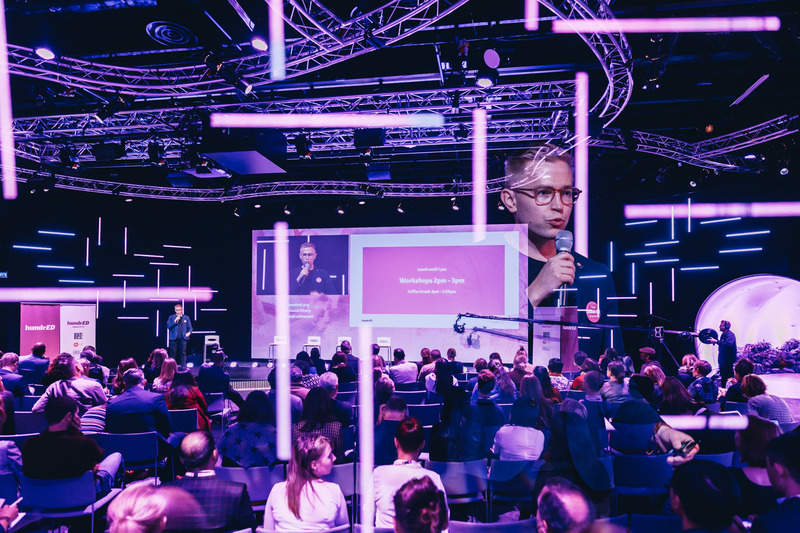 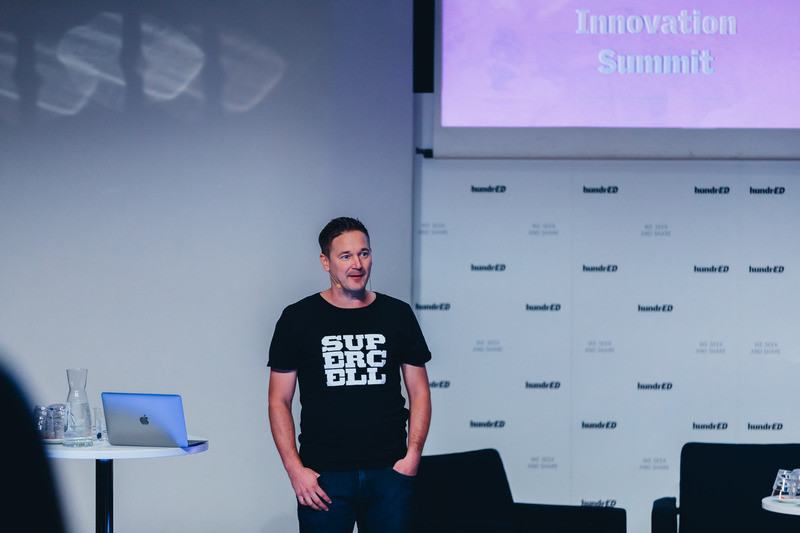 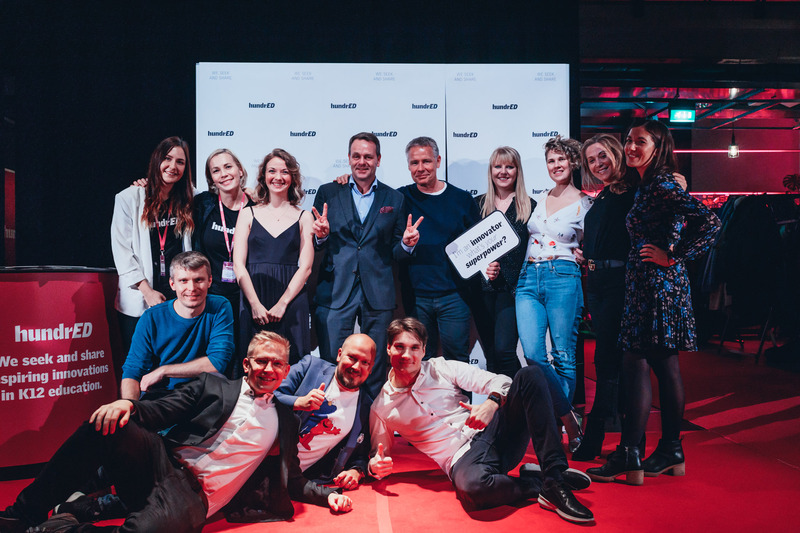 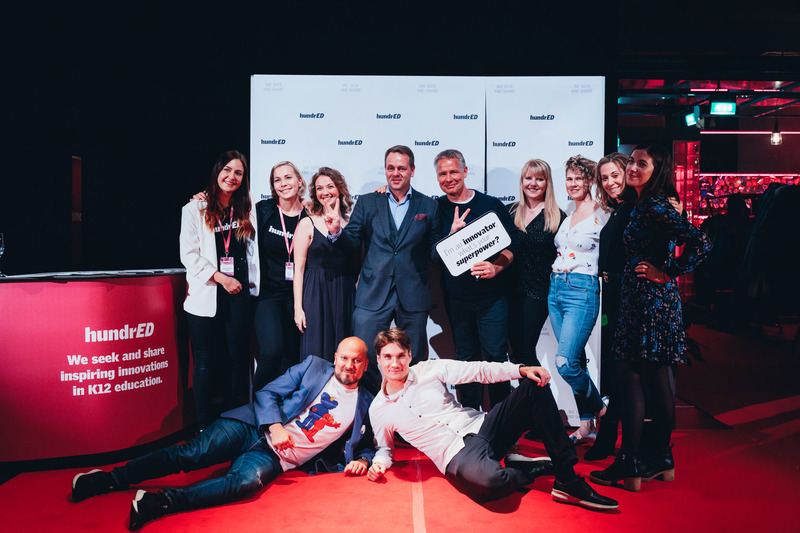 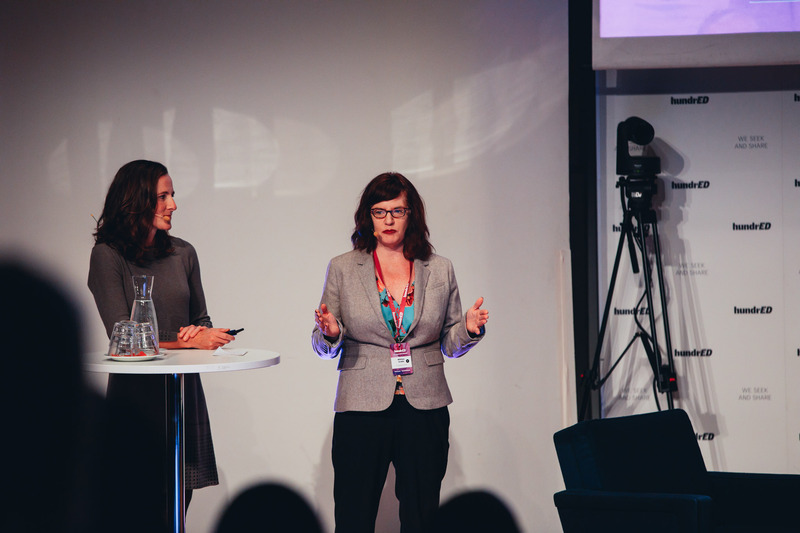 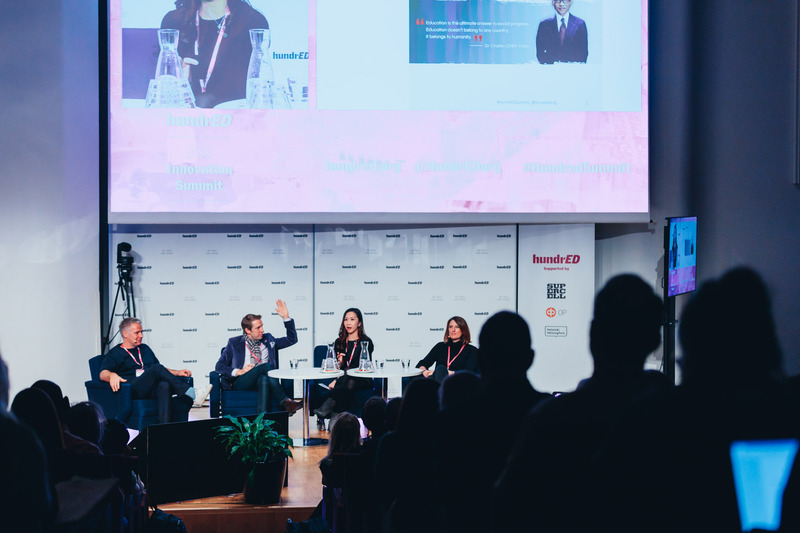 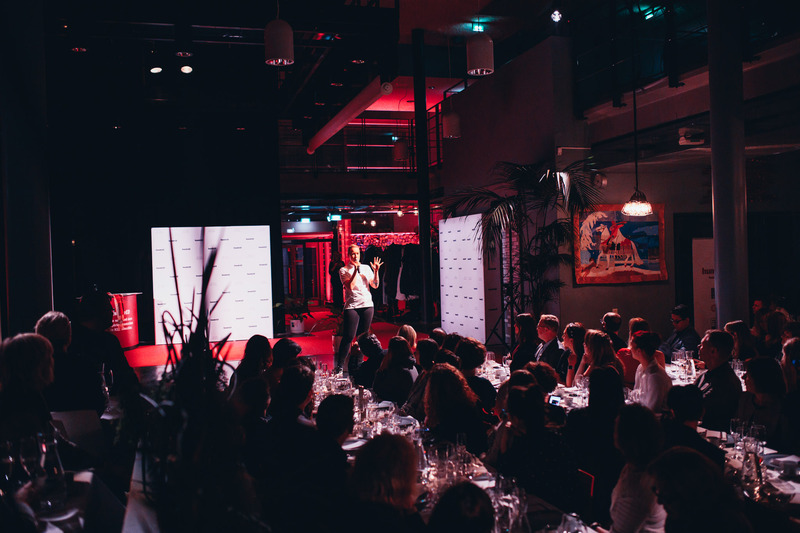 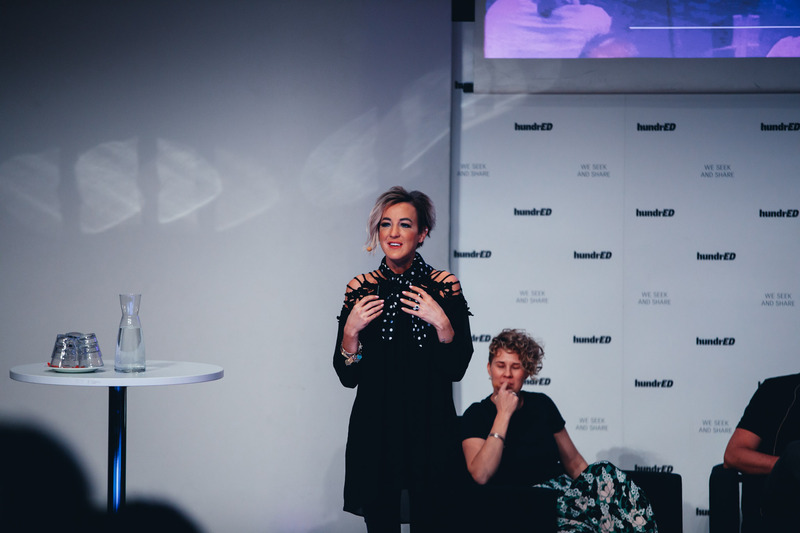 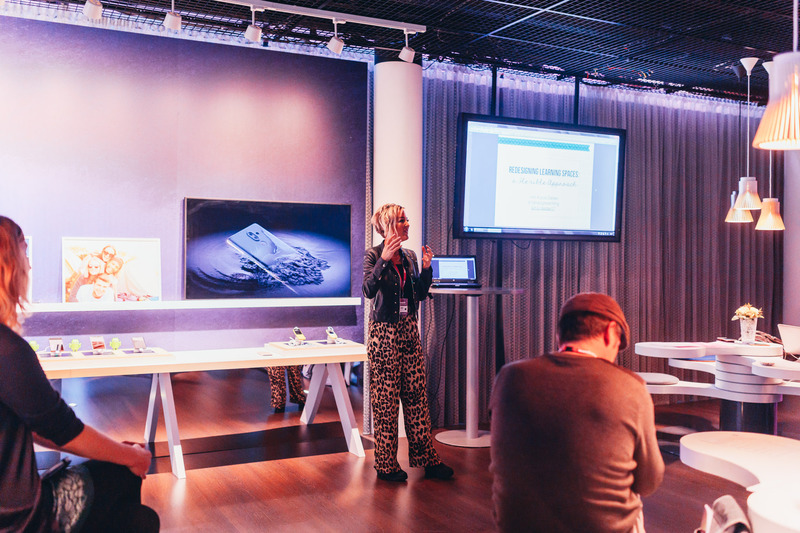 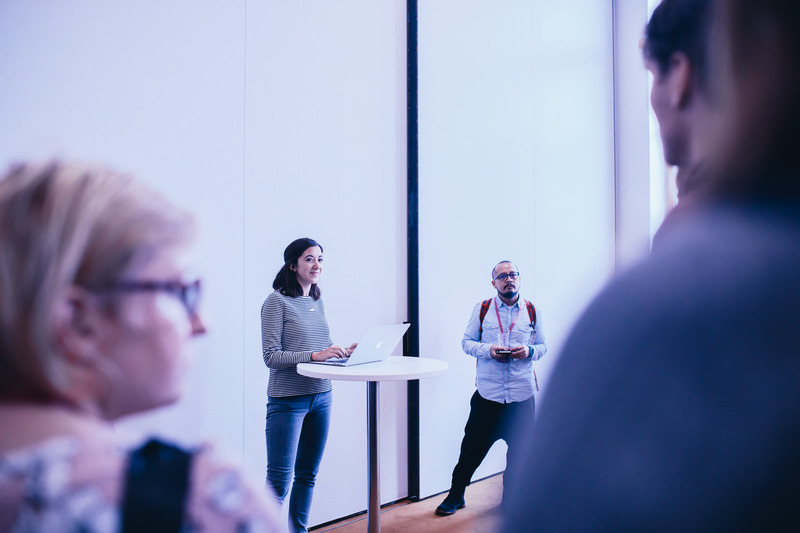 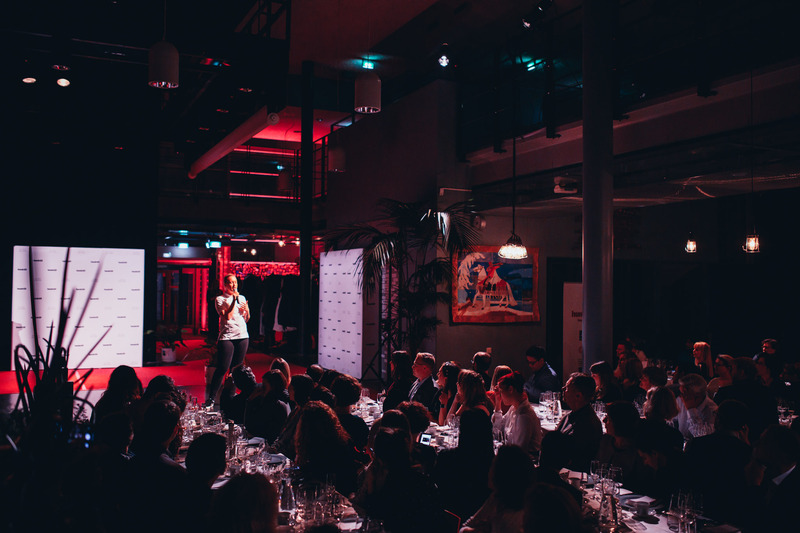 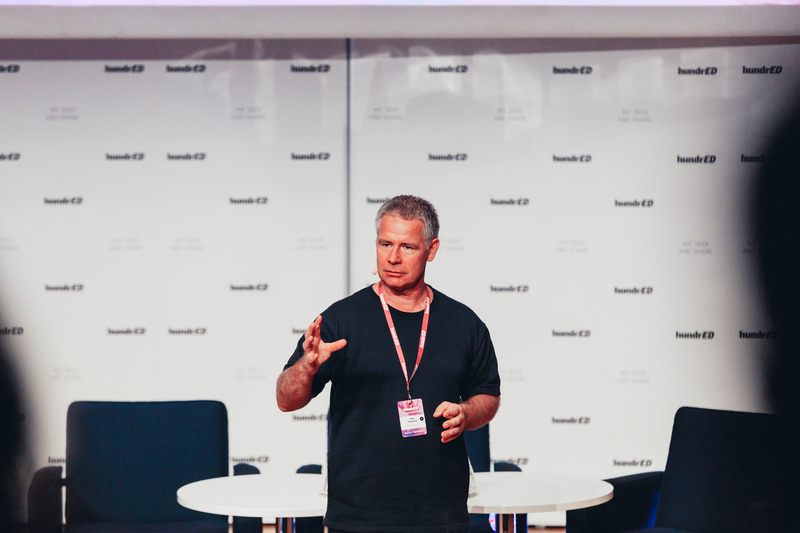 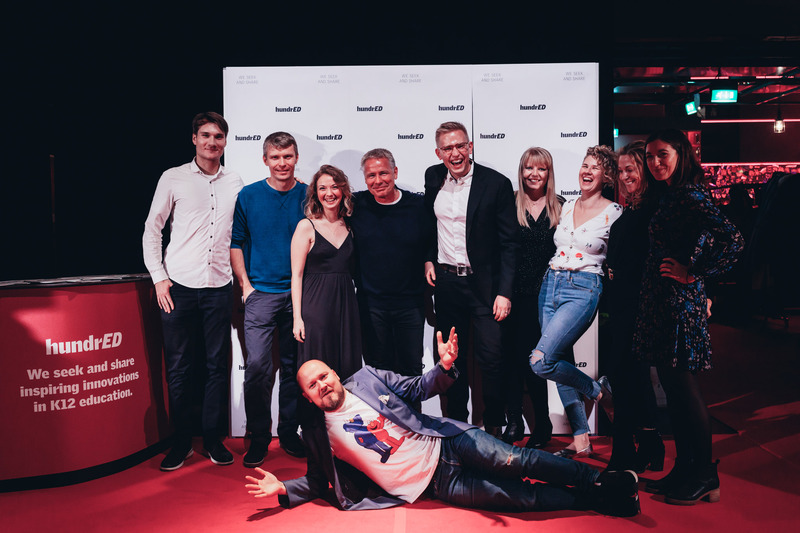 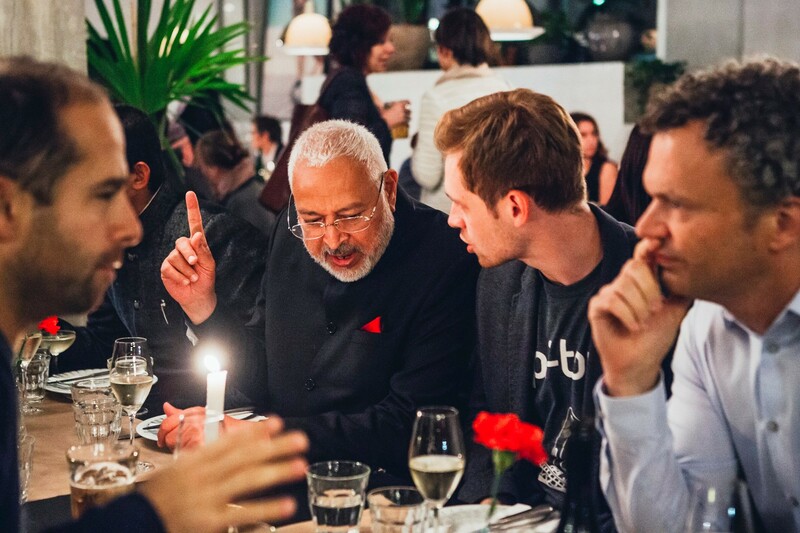 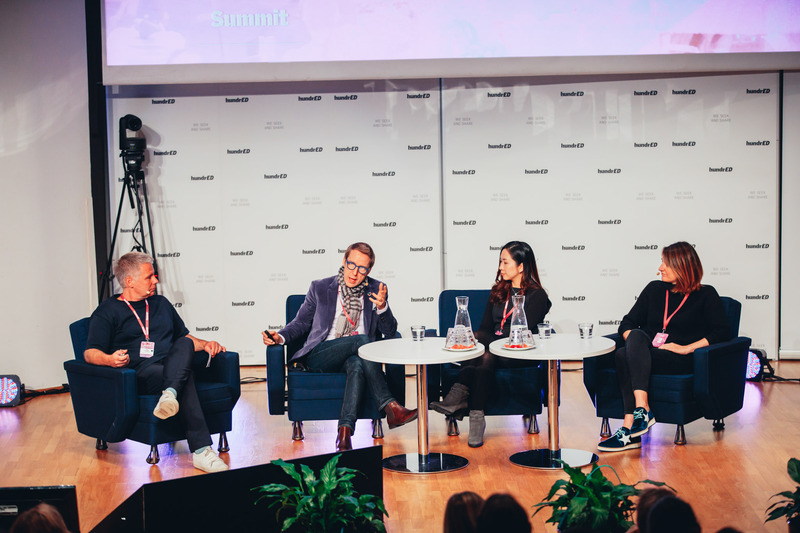 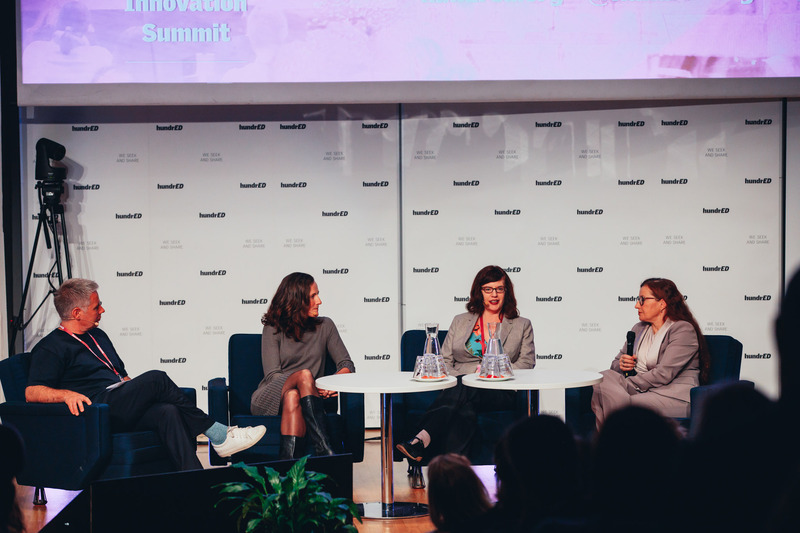 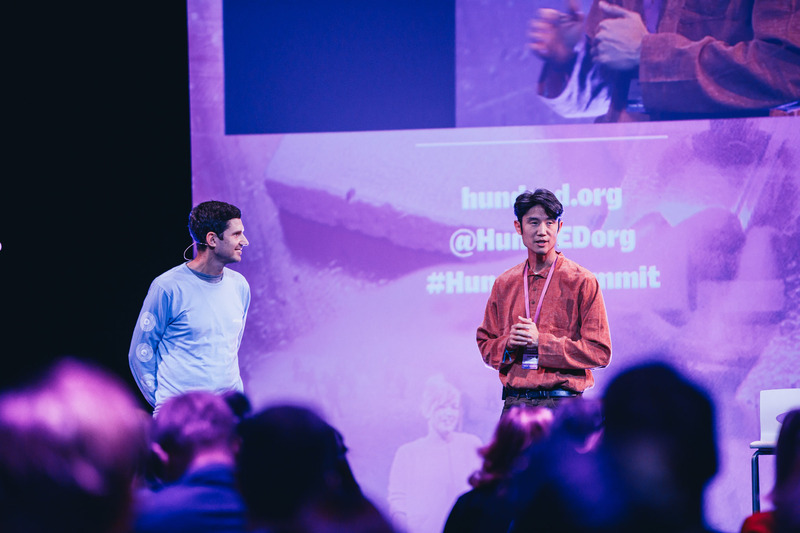 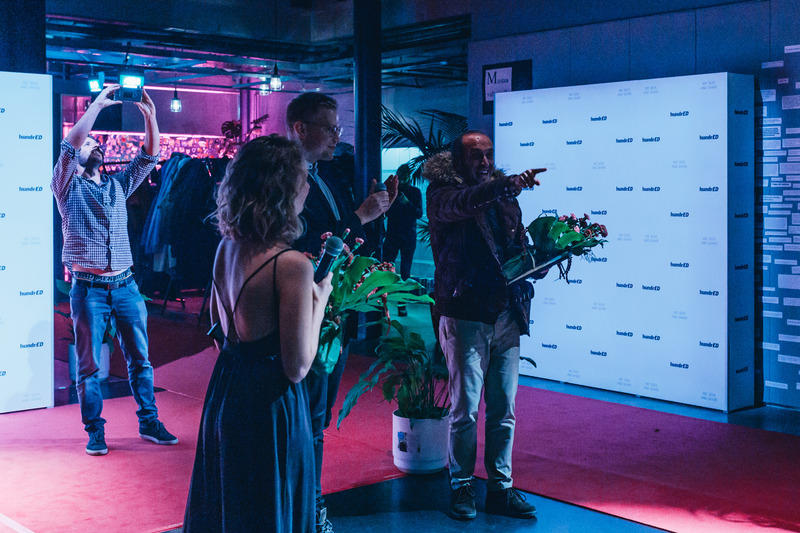 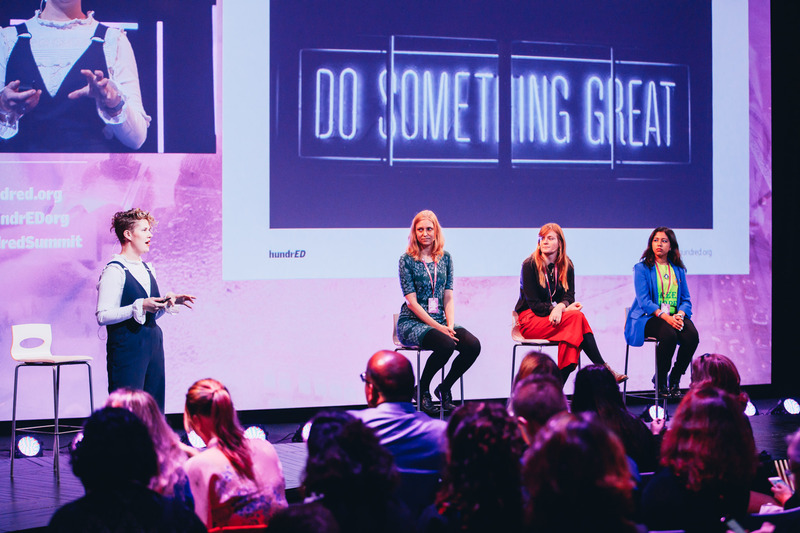 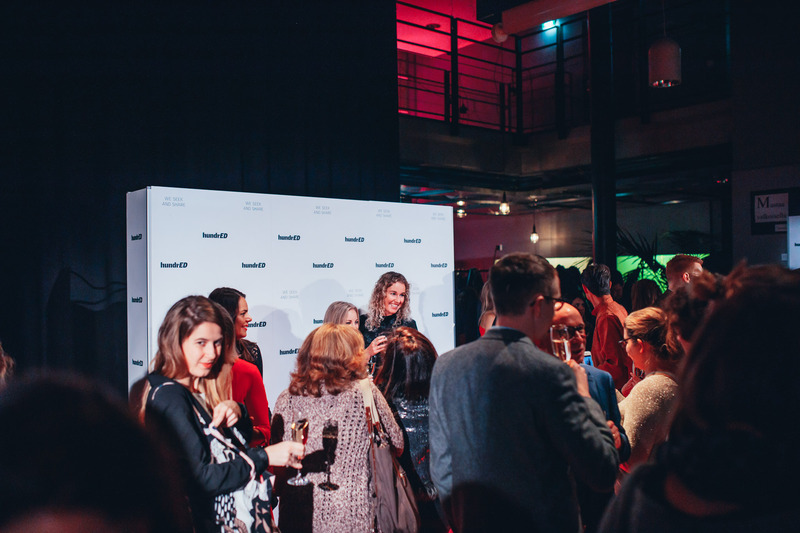 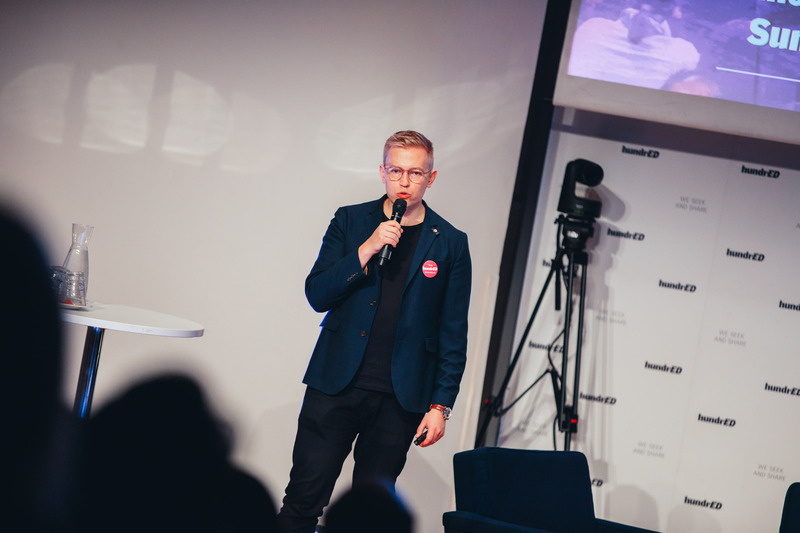 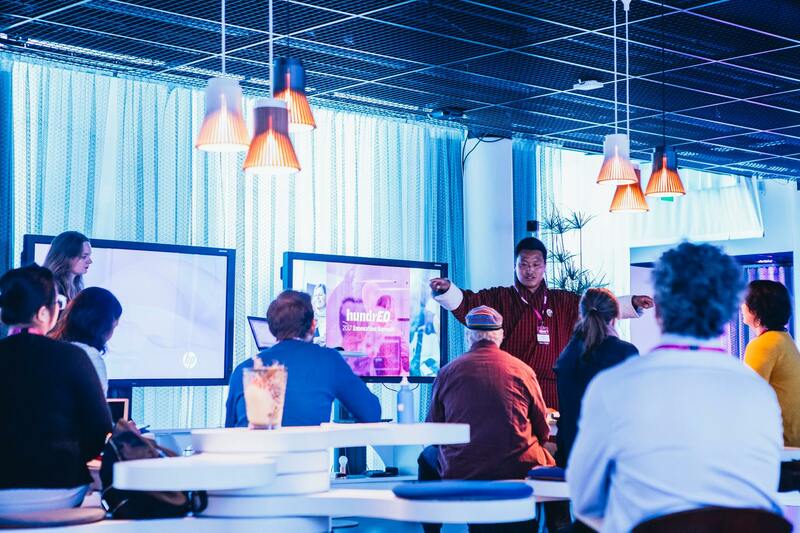 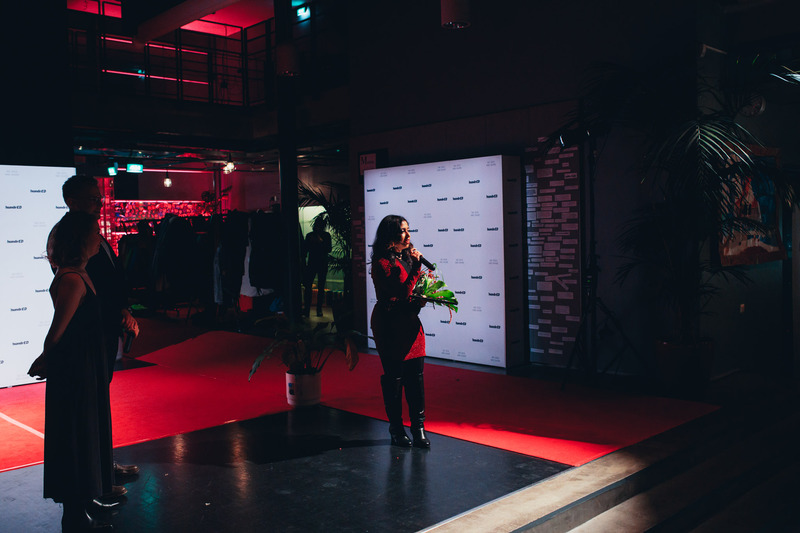 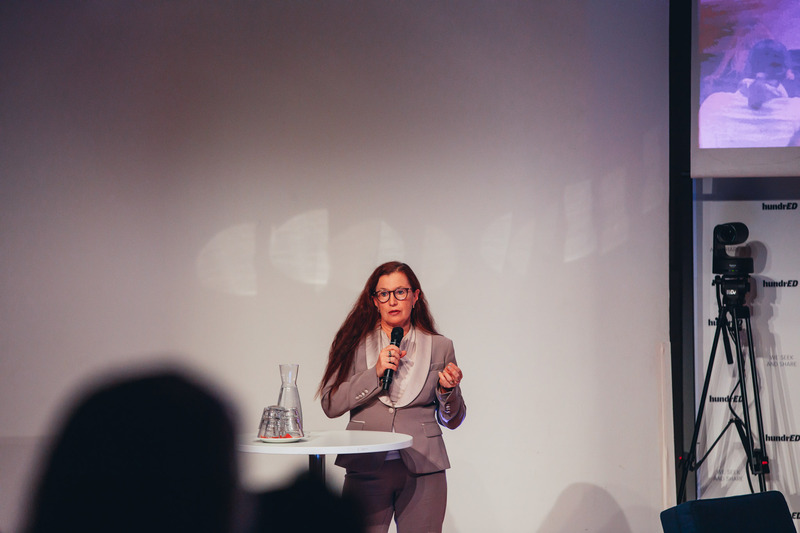 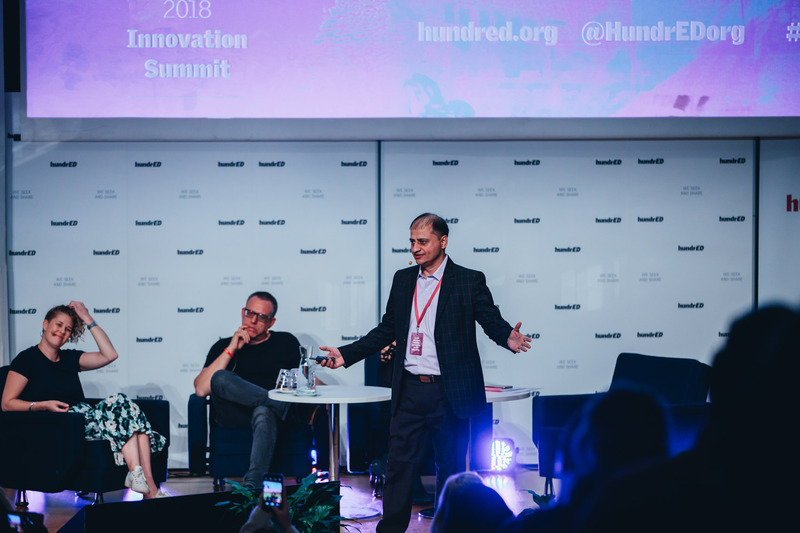 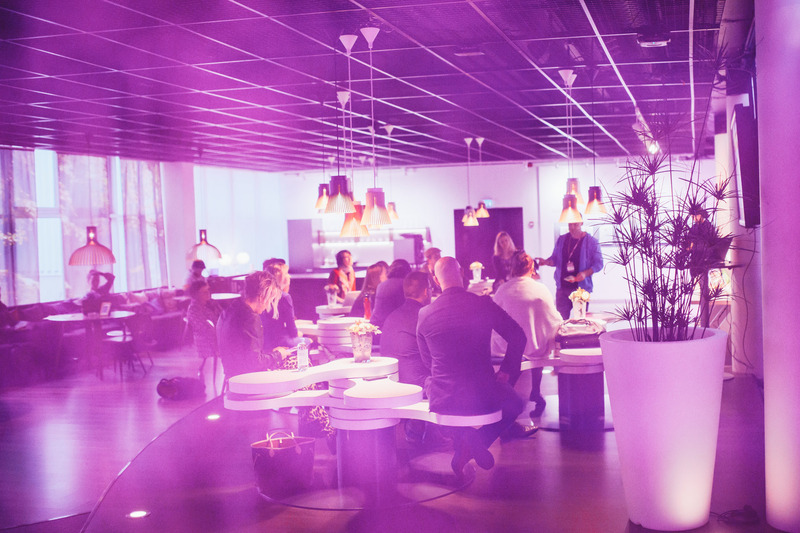 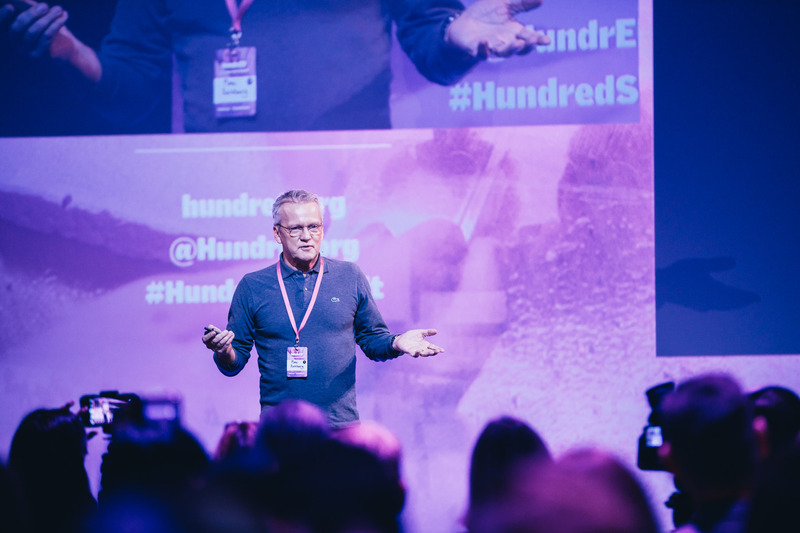 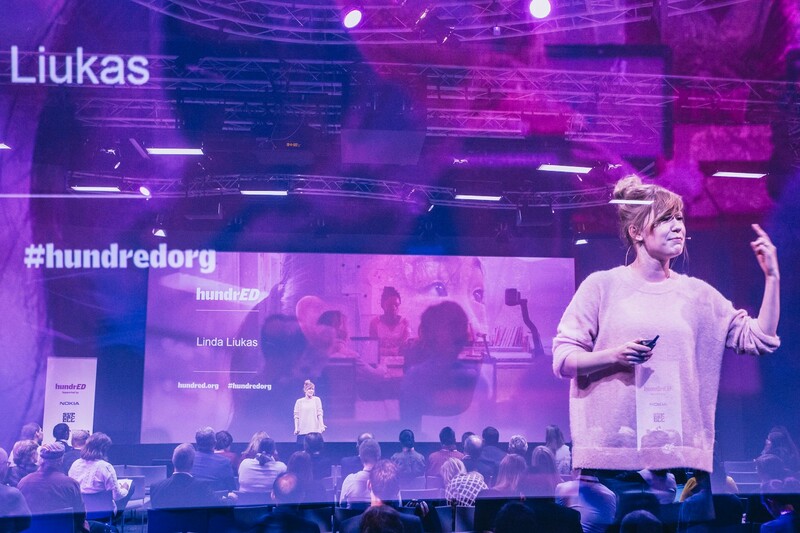 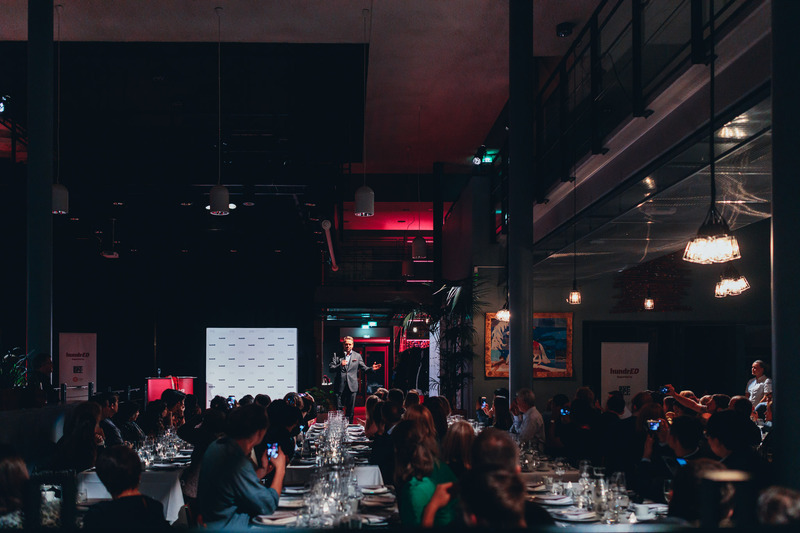 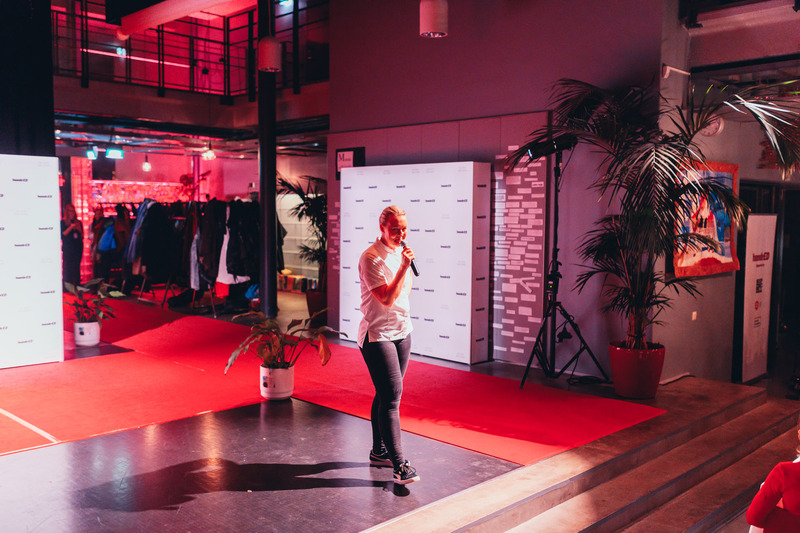 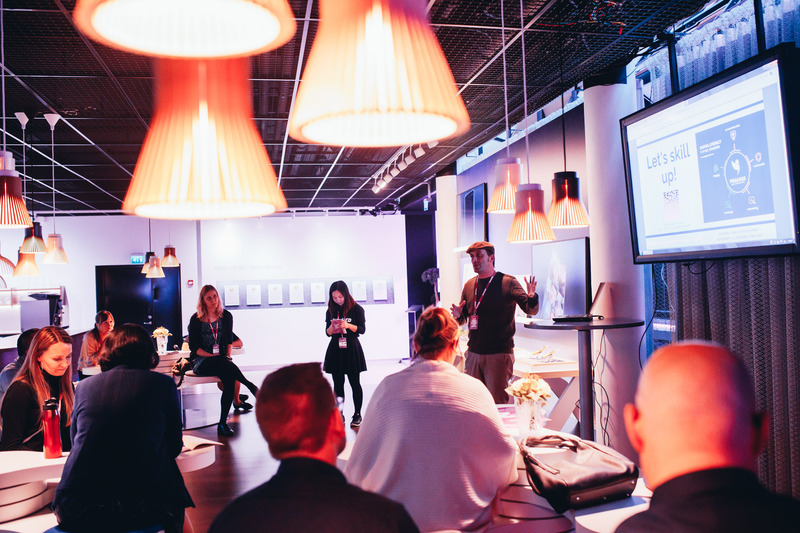 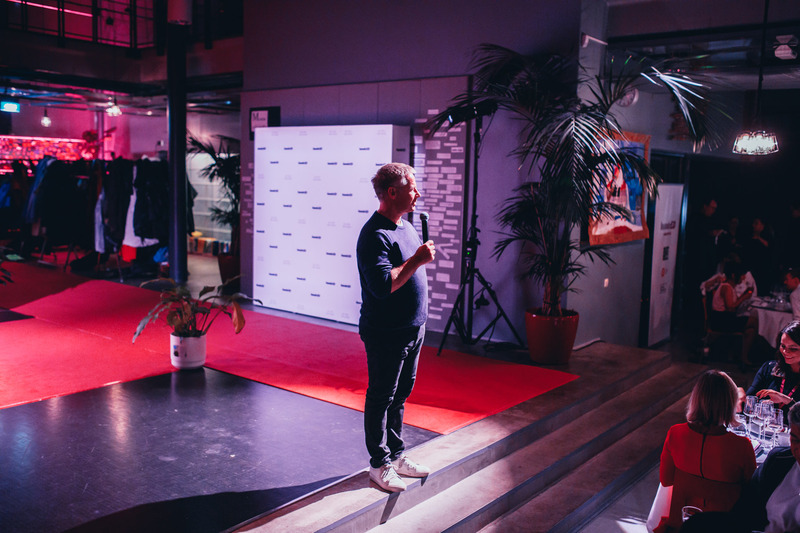 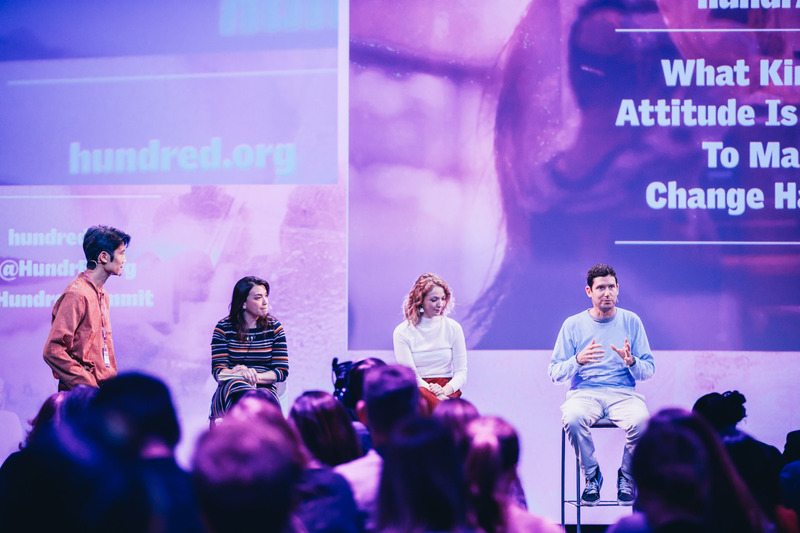 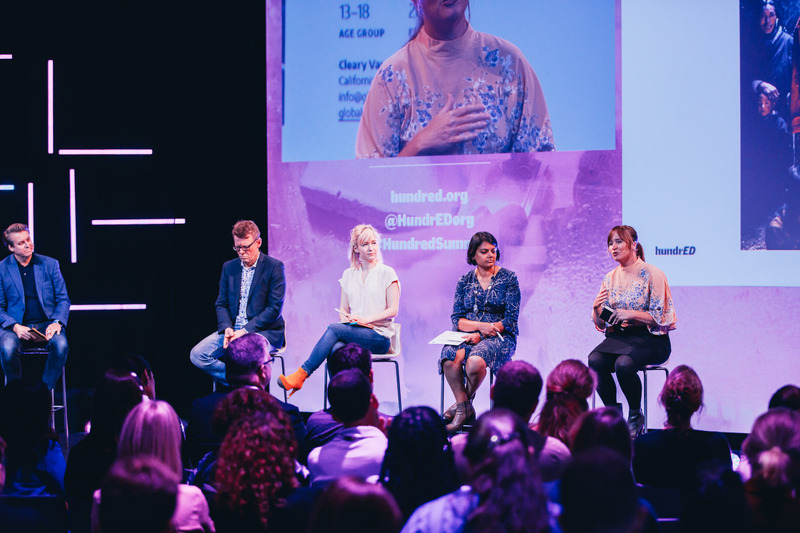 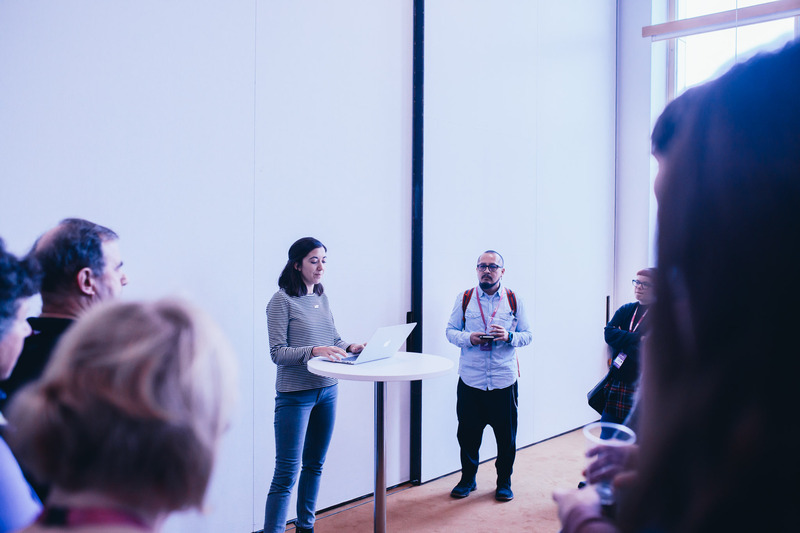 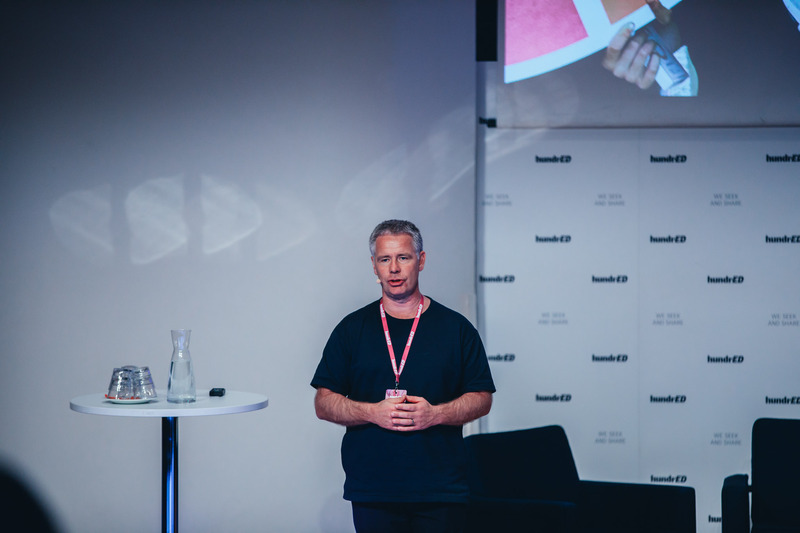 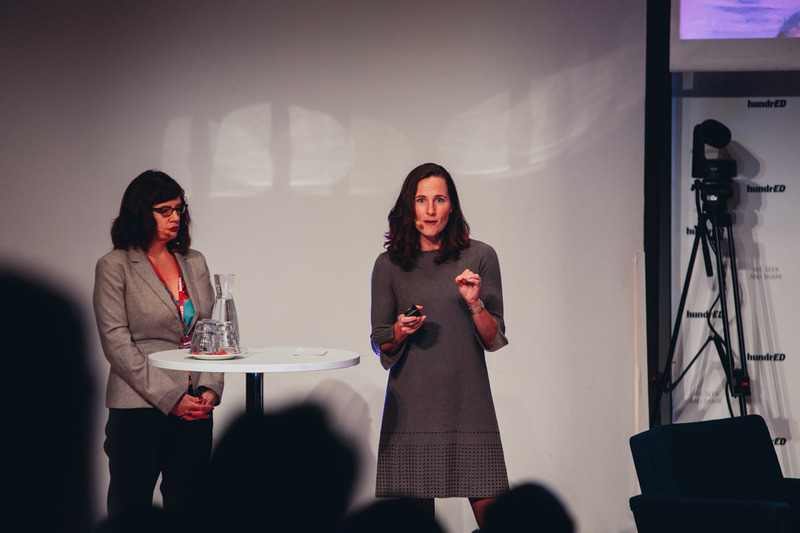 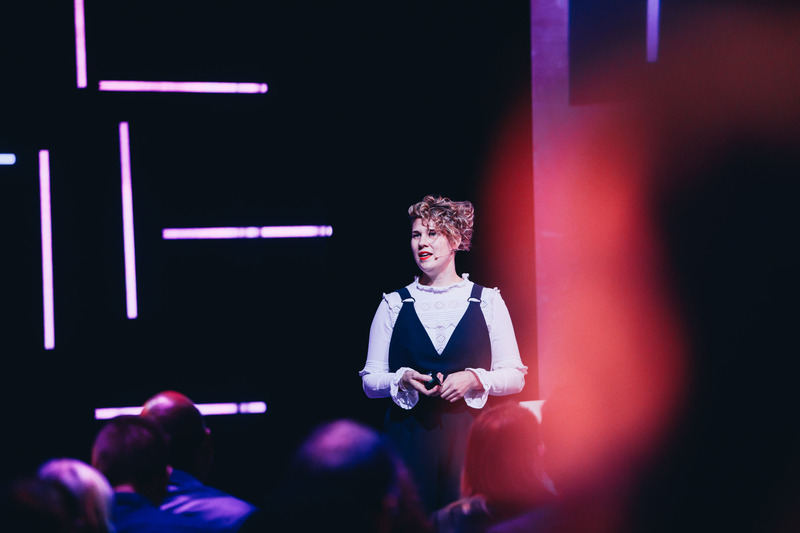 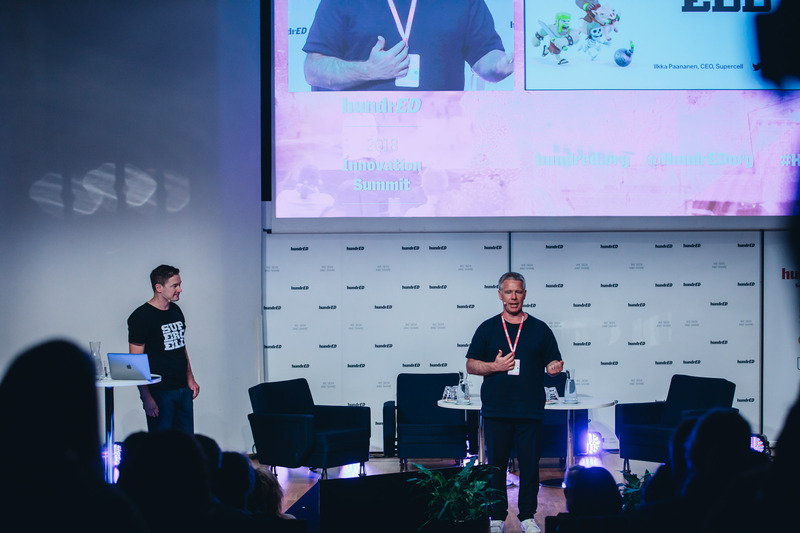 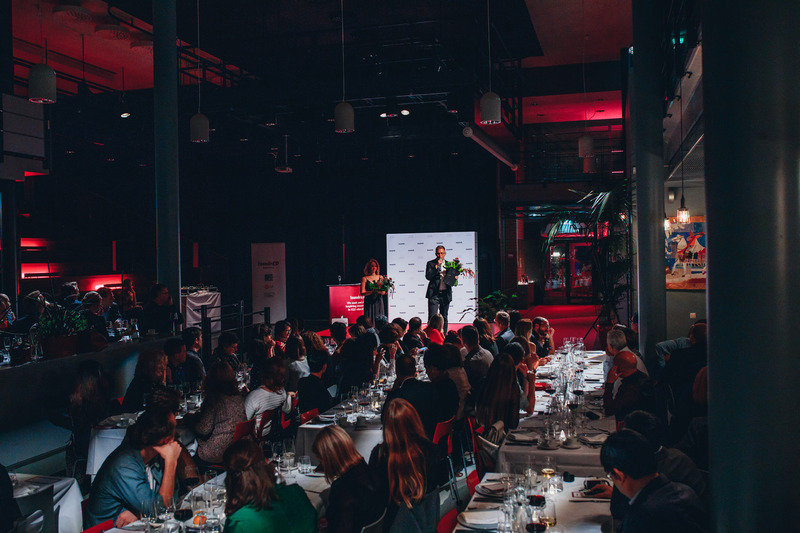 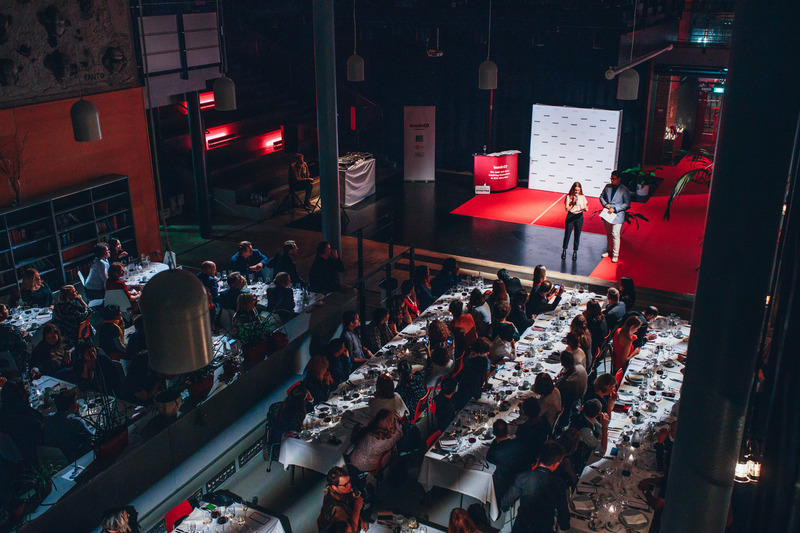 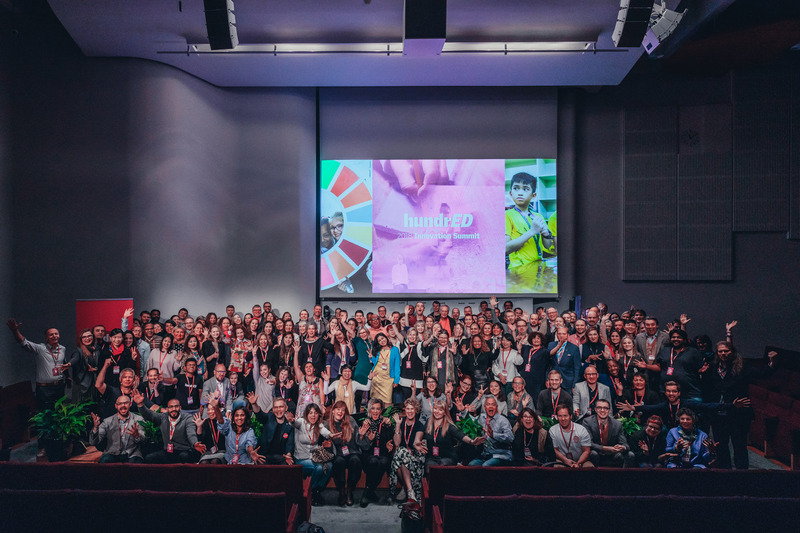 At the beginning of November 2018, we hosted the annual HundrED Innovation Summit in Helsinki, where launched HundrED's Global Innovation Collection 2019! 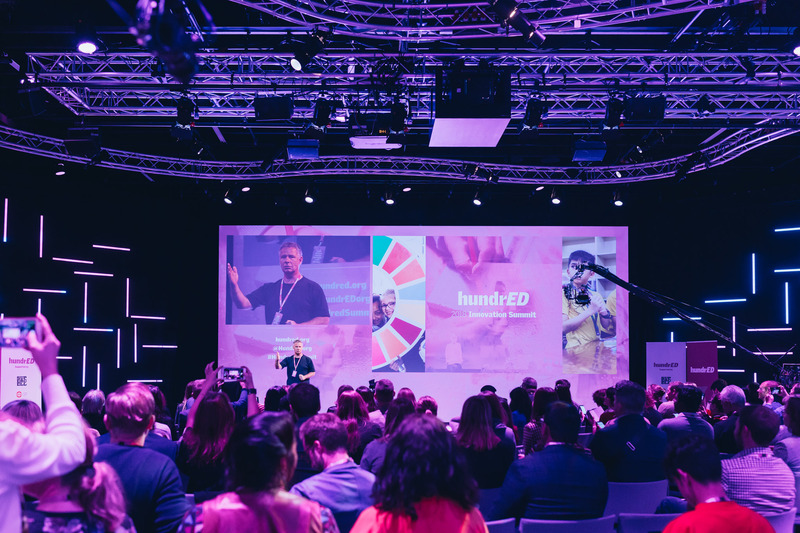 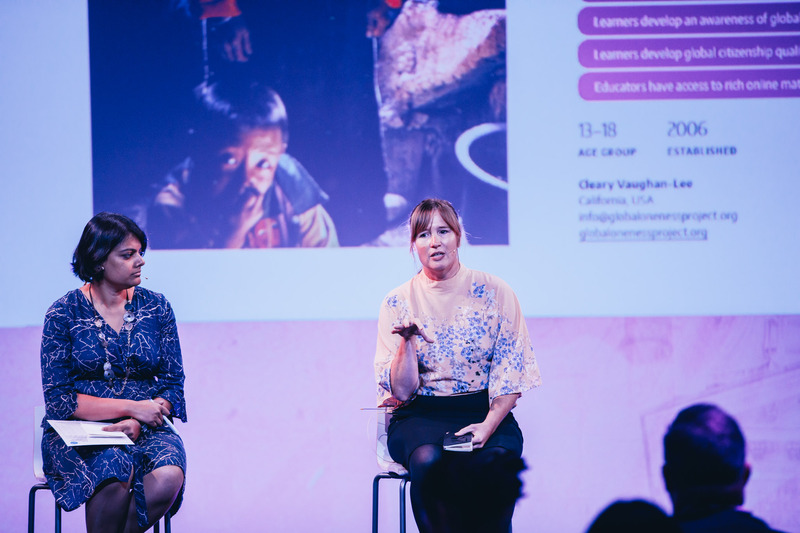 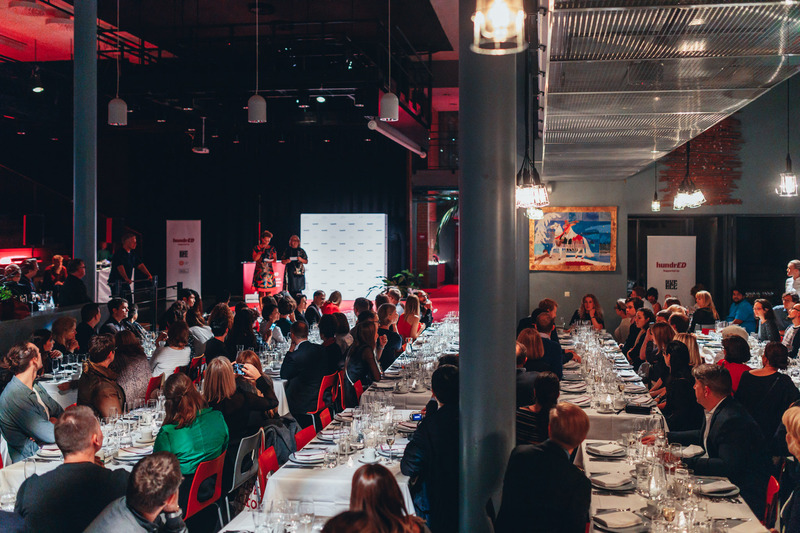 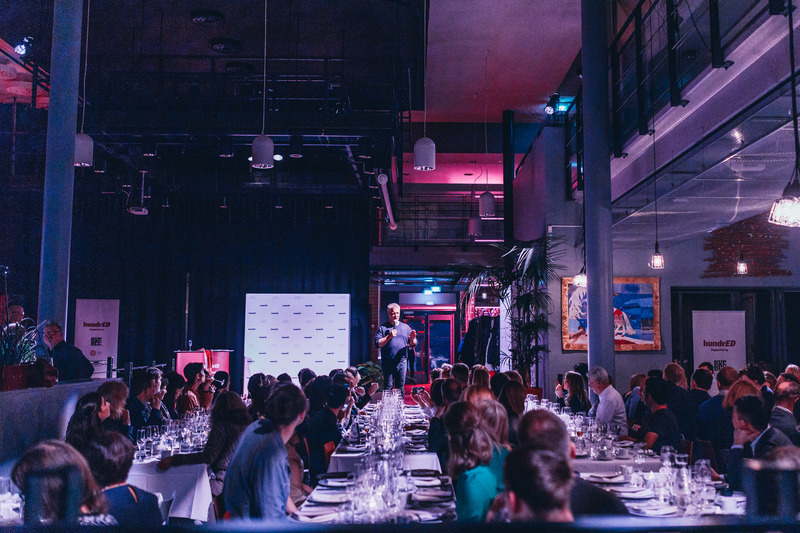 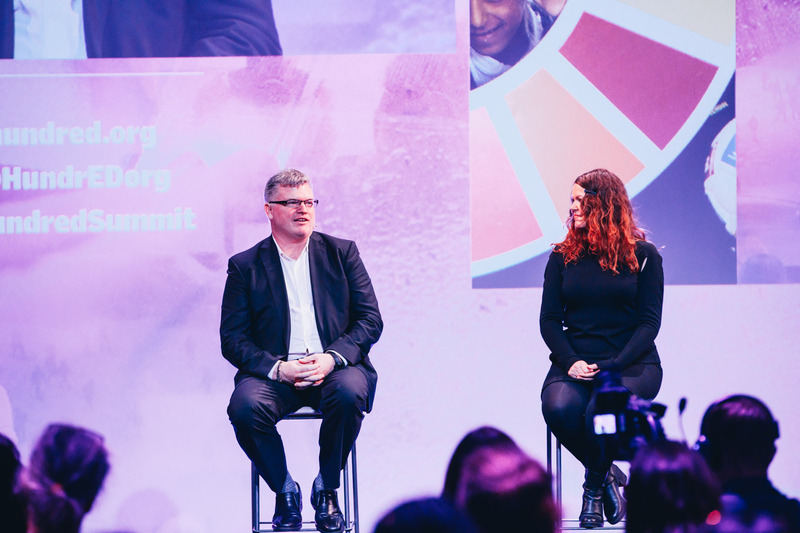 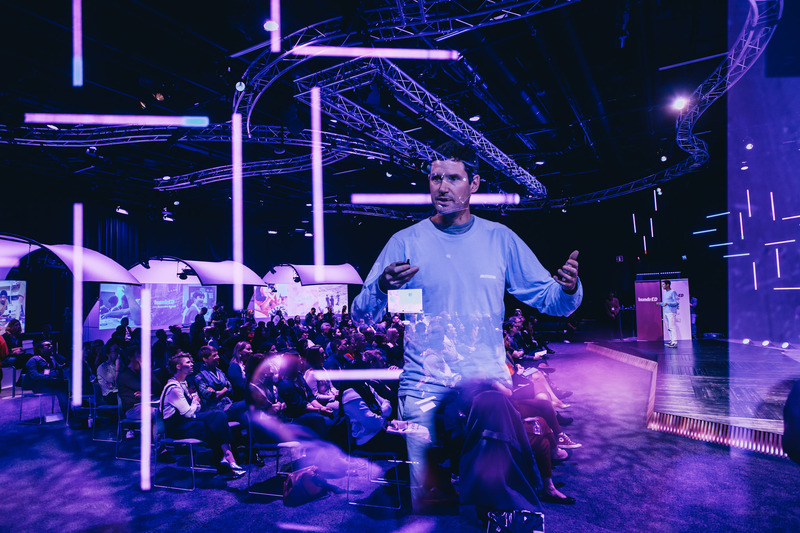 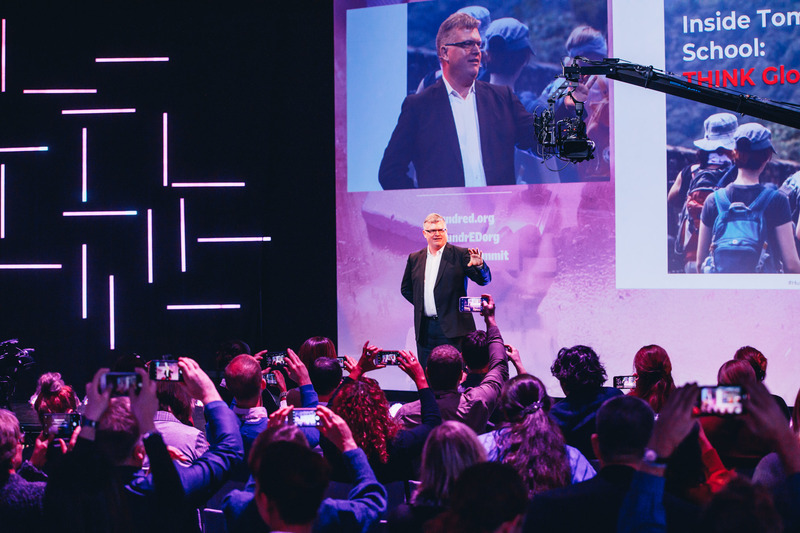 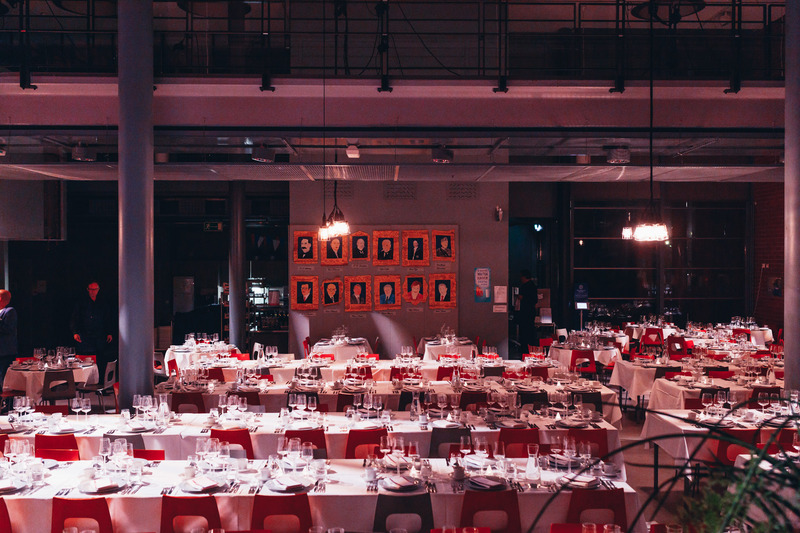 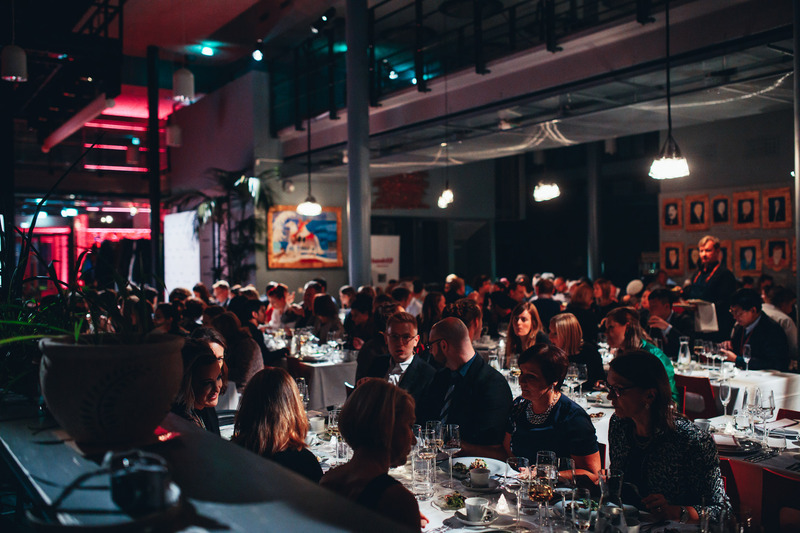 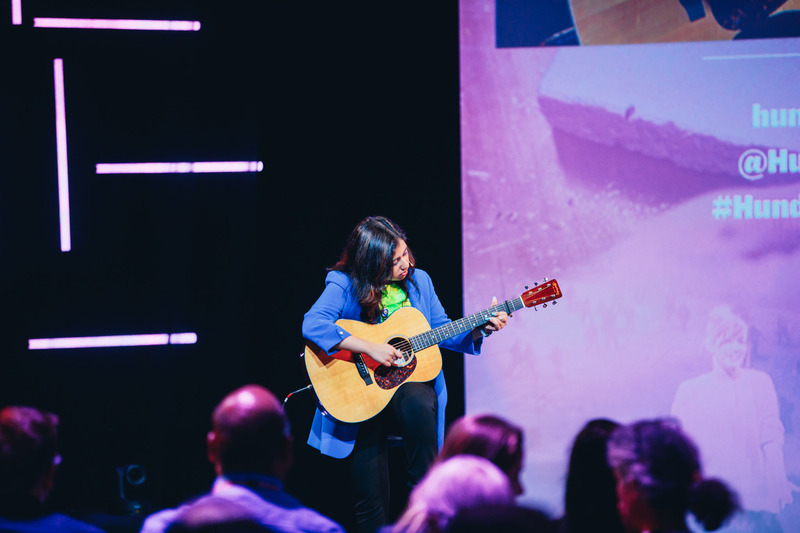 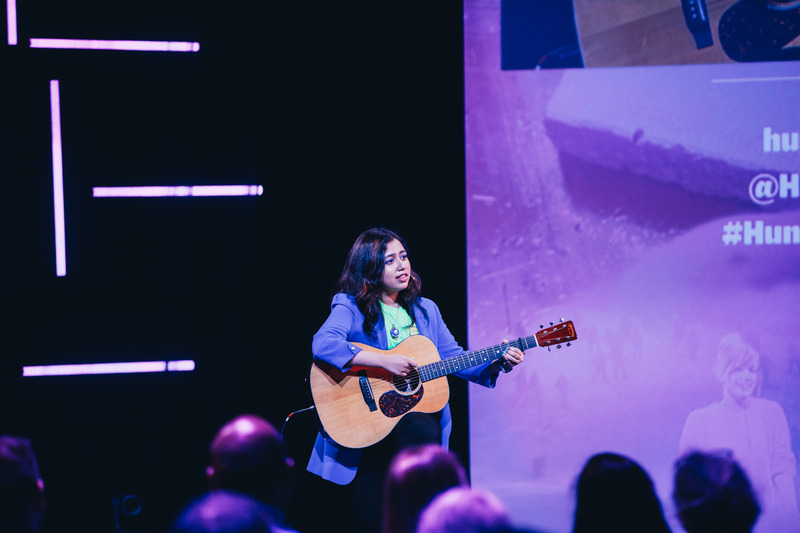 This invite-only event brought together the most inspiring education innovators, educators, youth and other engaged stakeholders from across the world to celebrate innovation in education on a global scale. 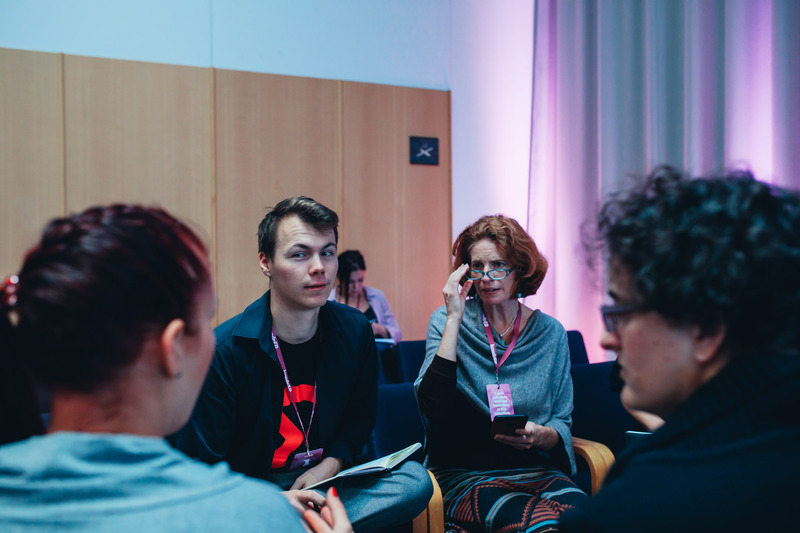 It was all about sharing ideas, forging connections and building a movement. 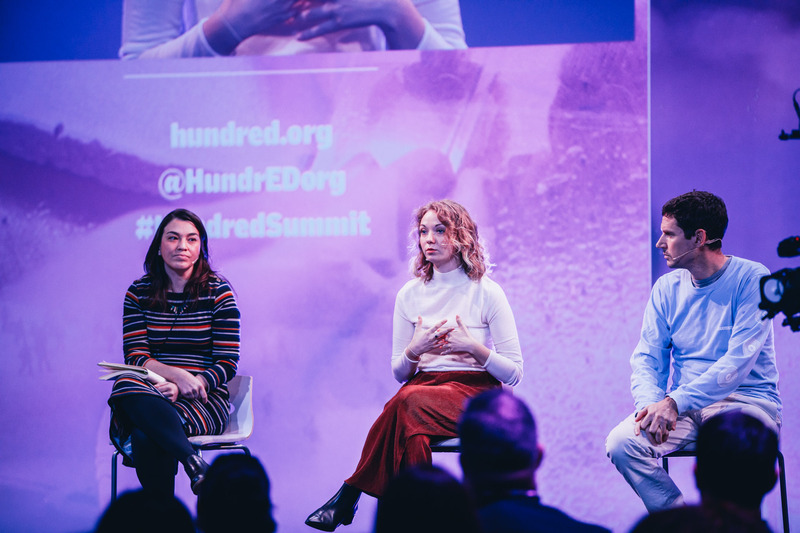 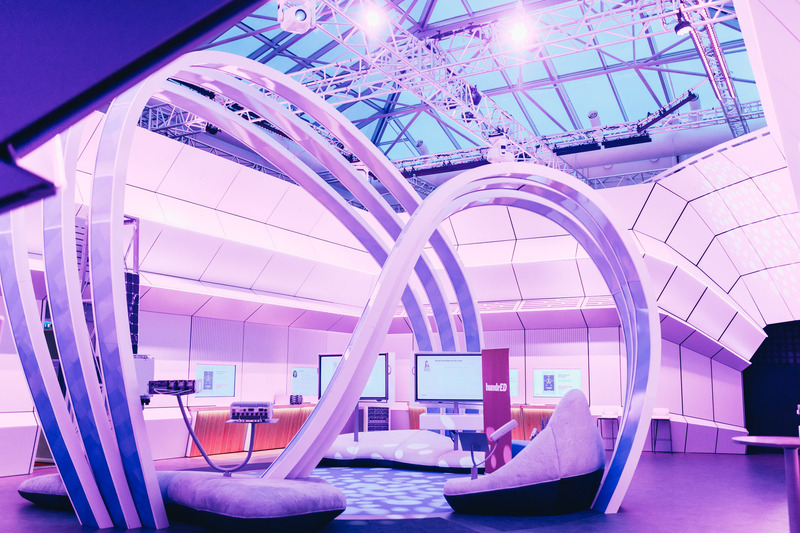 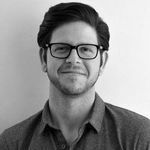 The HundrED Innovation Summit is a 3-day celebration of education innovation, with talks, workshops, and discussions. 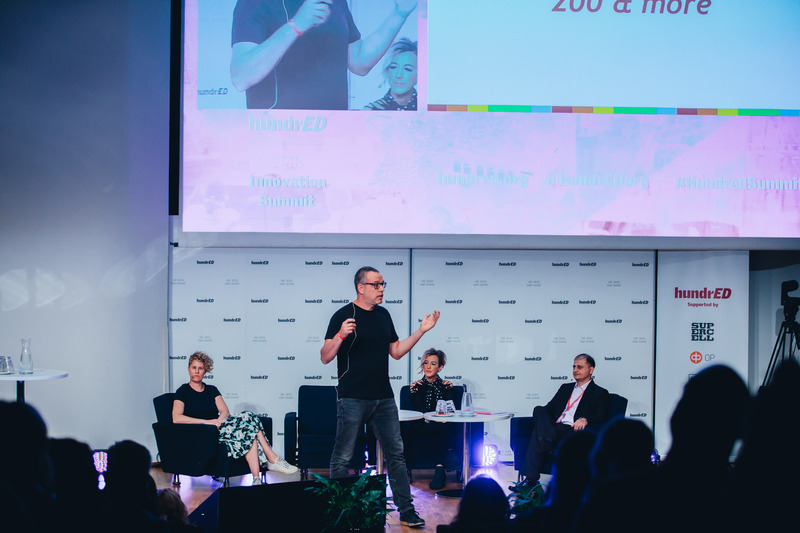 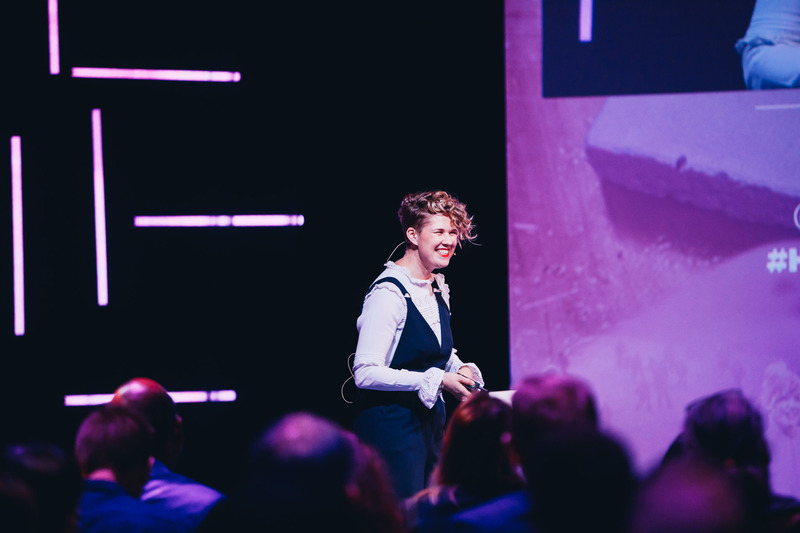 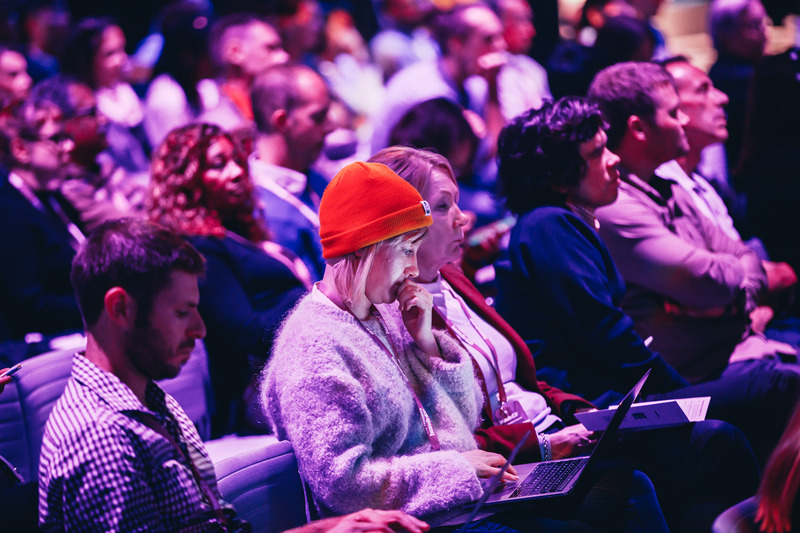 Each year the jam-packed program is built around the innovators who will be attending and every innovator gets the opportunity to get up on stage and share their work! 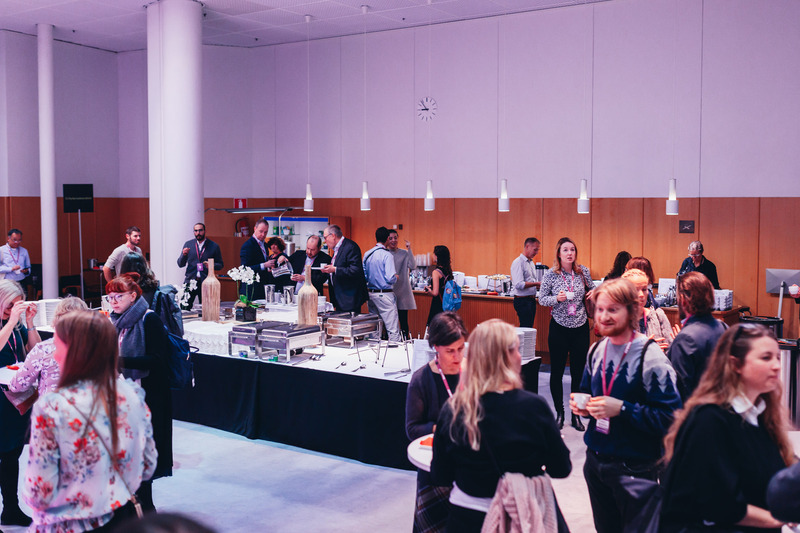 The summit is free to attend for all invited and all refreshments will be provided, including celebratory dinners for the innovators. 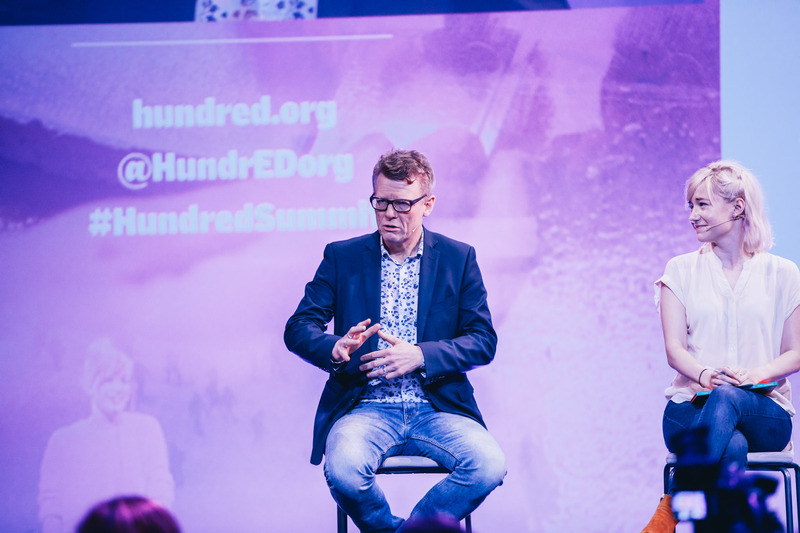 However, please note that HundrED does not cover the cost of travel or accommodation. 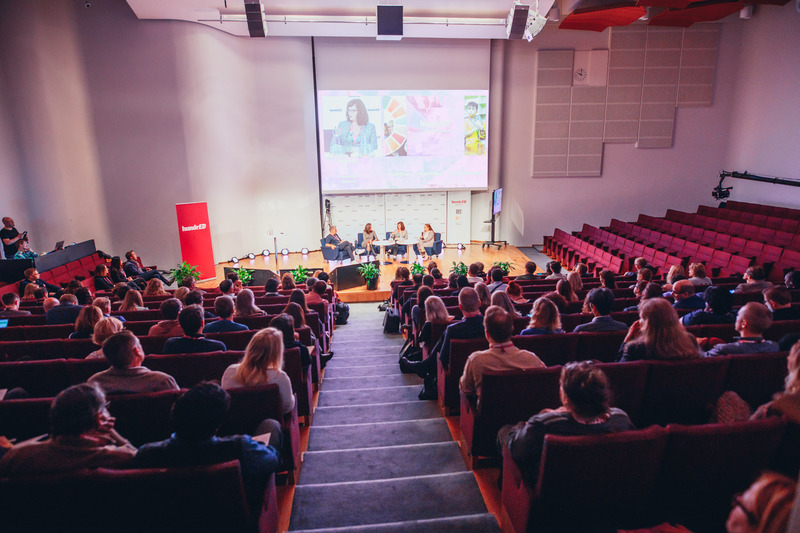 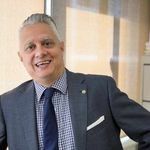 This invite-only event was capped at 220 attendees and a small number of places were available to other stakeholders in education. 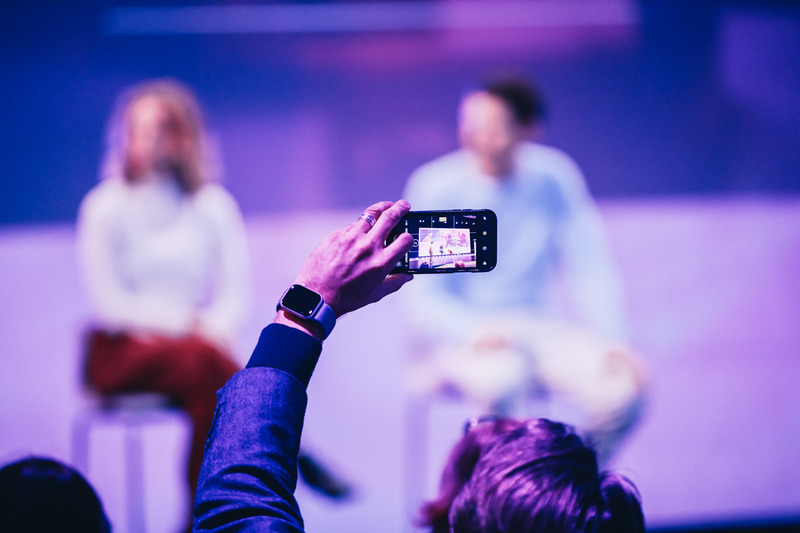 However, whether you attended the event in person or not, you can now find all videos on our youtube channel. 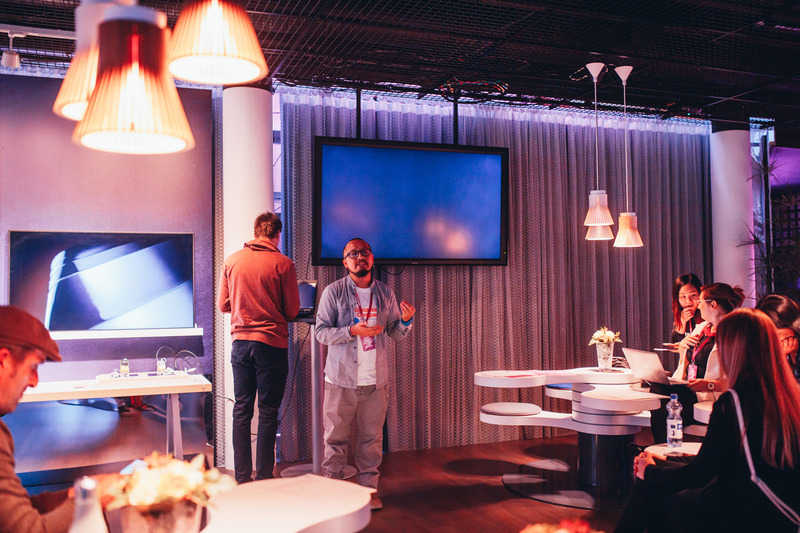 Helsinki can be reached easily from all over the world. 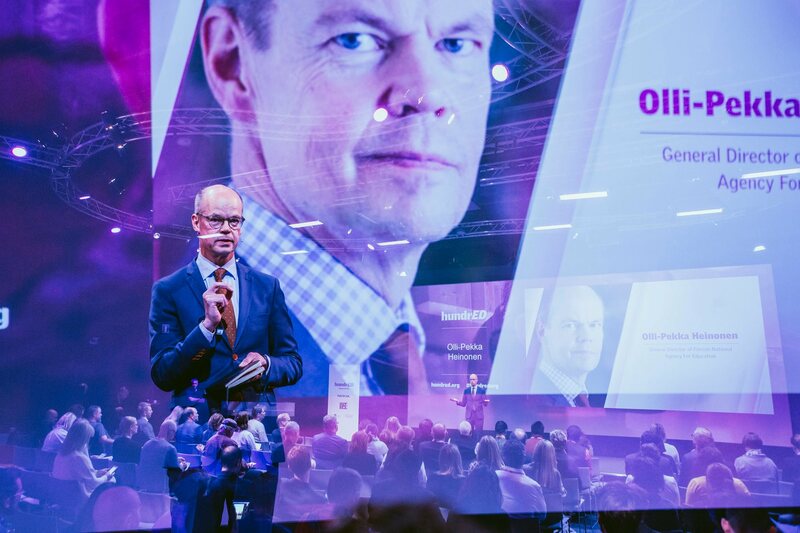 The location of the Finnish capital is optimal as part of the Nordic region that borders Russia, is close to the Baltic markets and offers fast flight connections to Asia. 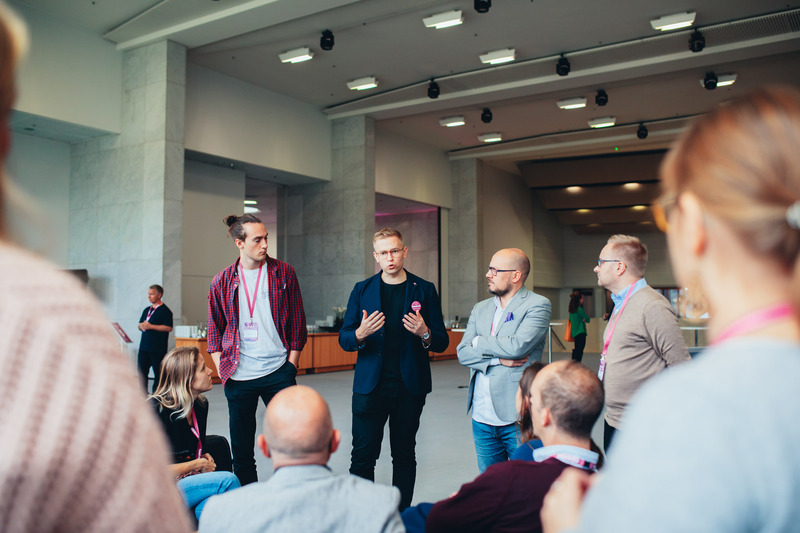 Helsinki is the Capital of Finland and the centre of the Helsinki Region, a functional urban region of about 1.5 million inhabitants. 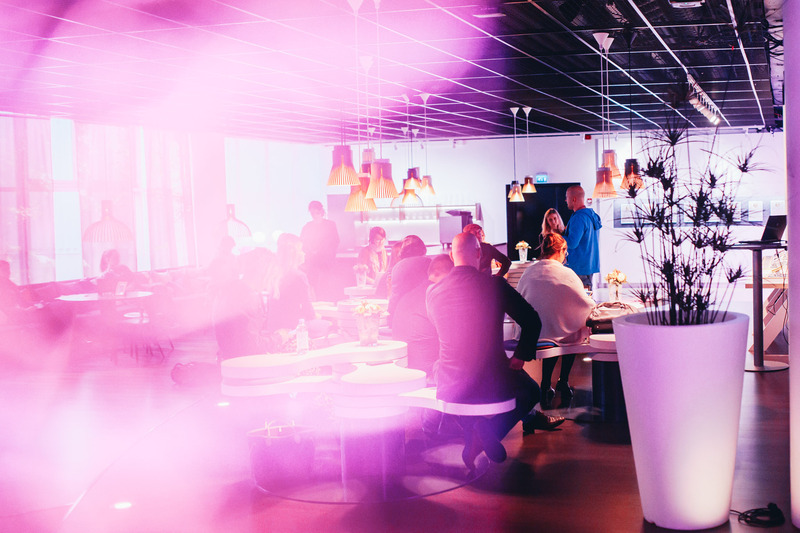 Finland has been an EU Member state since 1995 and in 2018, Helsinki is considered one of the fastest growing cities in Europe. 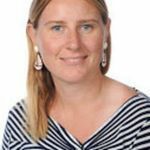 Need a hand finding accommodation? 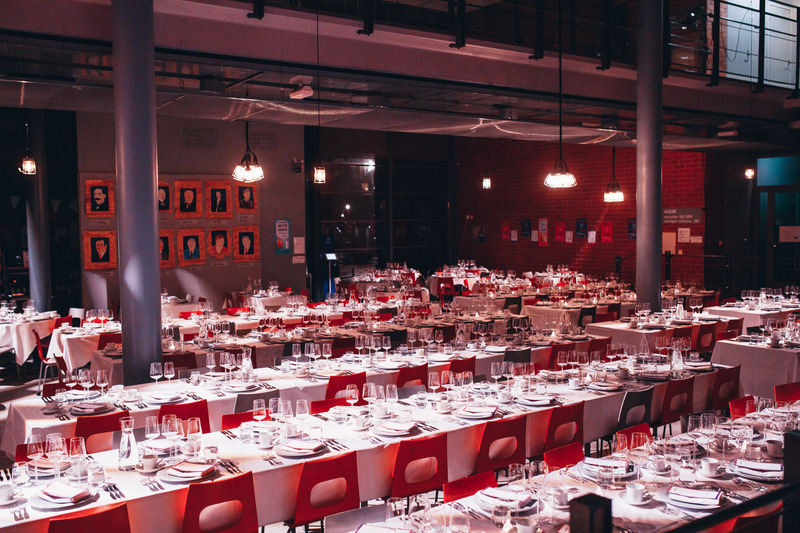 We've listed a few of our favorites here. 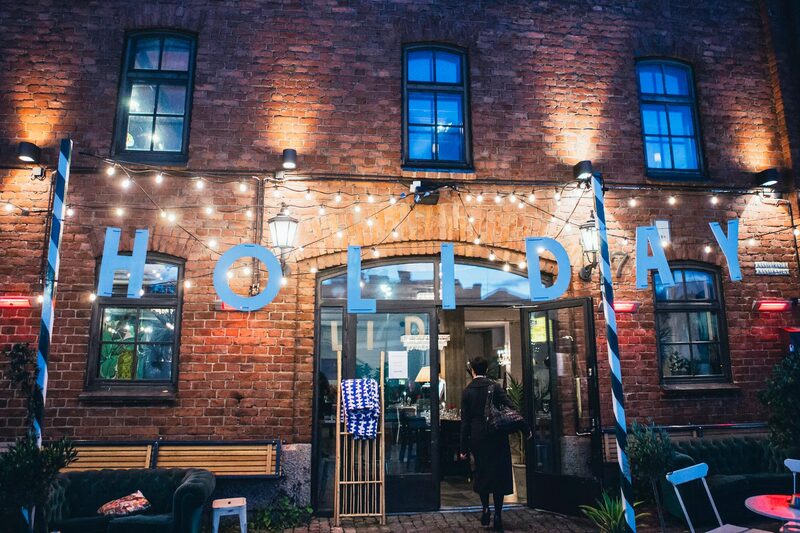 While the city is expensive, Helsinki has many accommodation possibilities from Hostels, Budget Hotels, to AirBnBs. 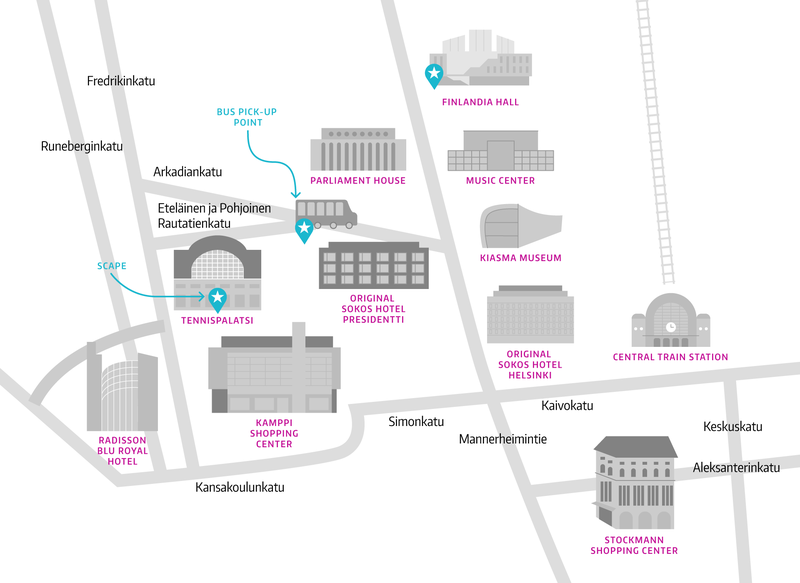 Learn how to enjoy your time in Helsinki and find your way around. 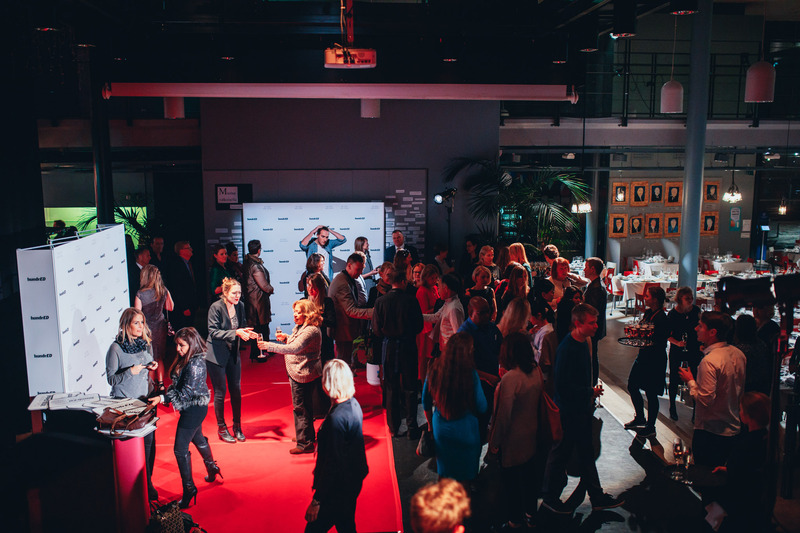 Helsinki was also chosen as World Design Capital for the year 2012. 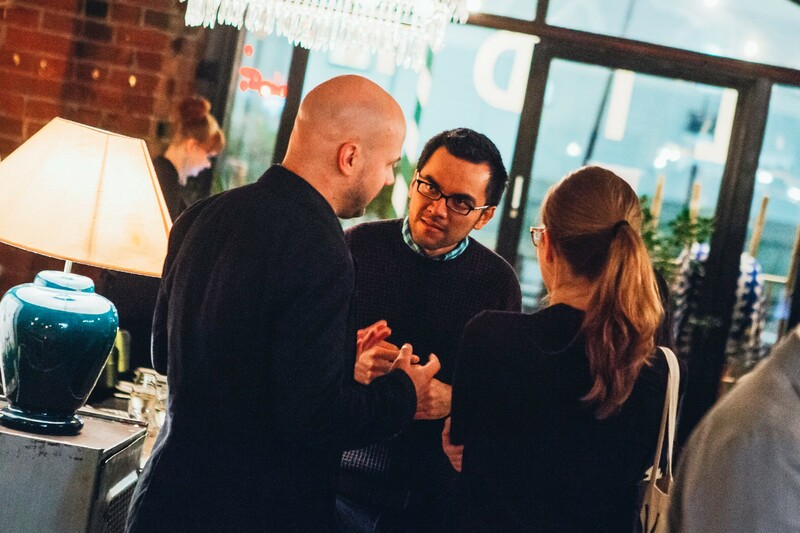 In 2014 Helsinki was awarded City of Design status as part of the Creative Cities Network established by UNESCO. 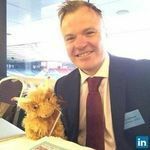 Do you need help with your travel arrangements? 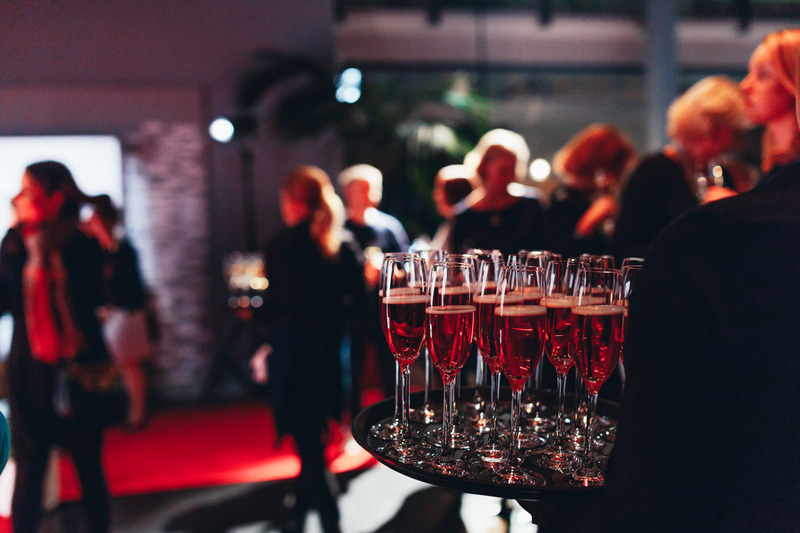 Contact us and we'll be happy to help. 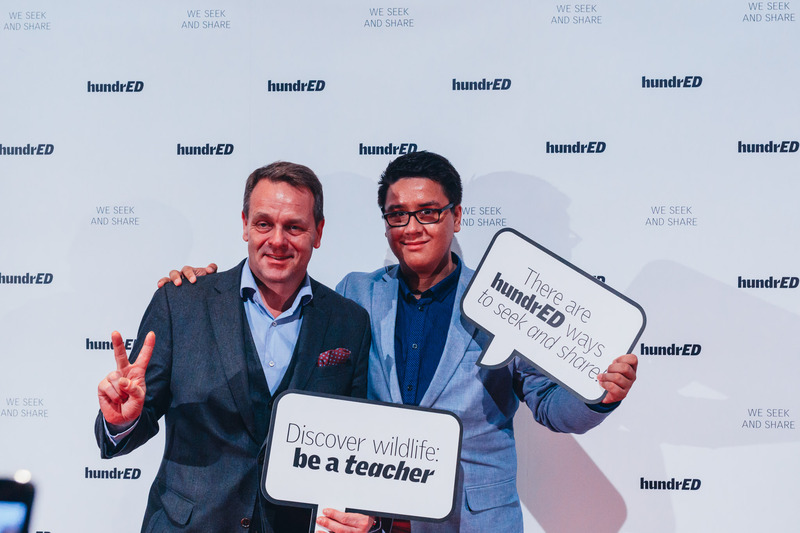 With my 34 years in Education in a variety of roles and now with one of Director of Innovation in redefining/transforming schooling and learning for a contemporary world for our 88 schools/services, I truly believe that HundrED will be a significant pillar and resource in my work and I hope through being an ambassador I will drive much innovation, discussion, community engagement and fun towards HundrED through my current professional work, partnerships, contacts and initiatives here in Australia and elsewhere. 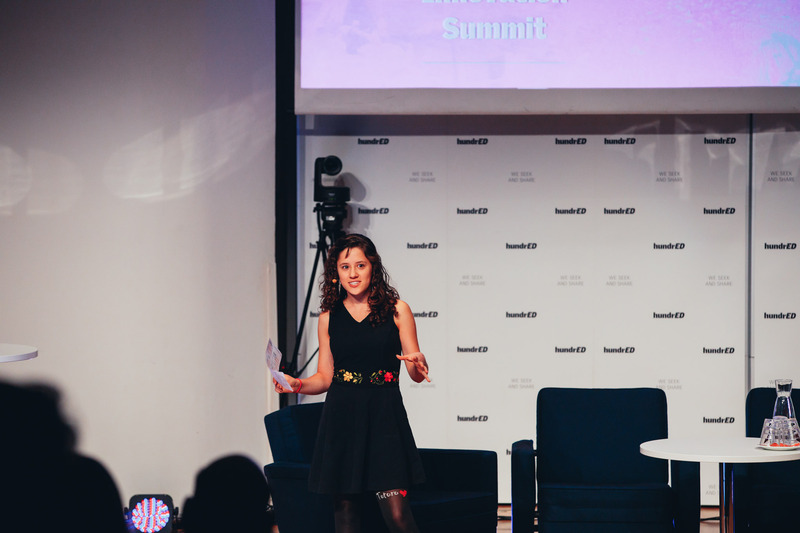 Wow, that summit was so amazing this year! 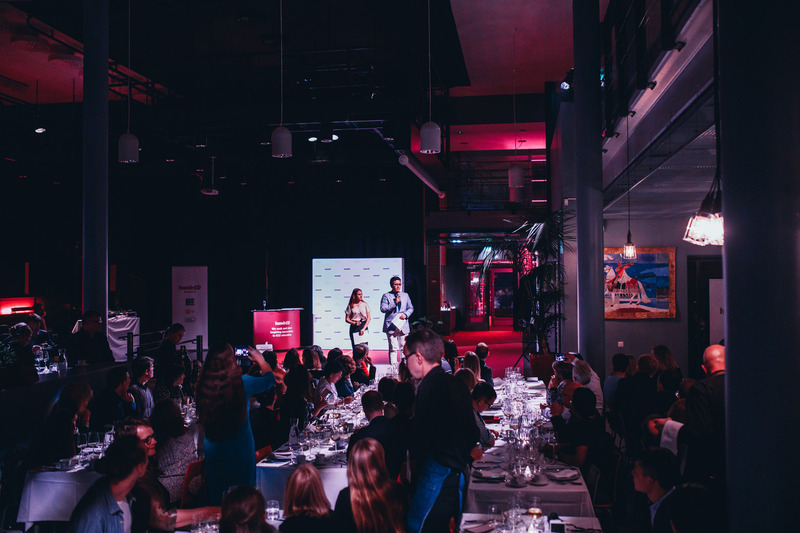 You all deserve a pat on the back for everything you pulled off with Education week, school visits and so much more! 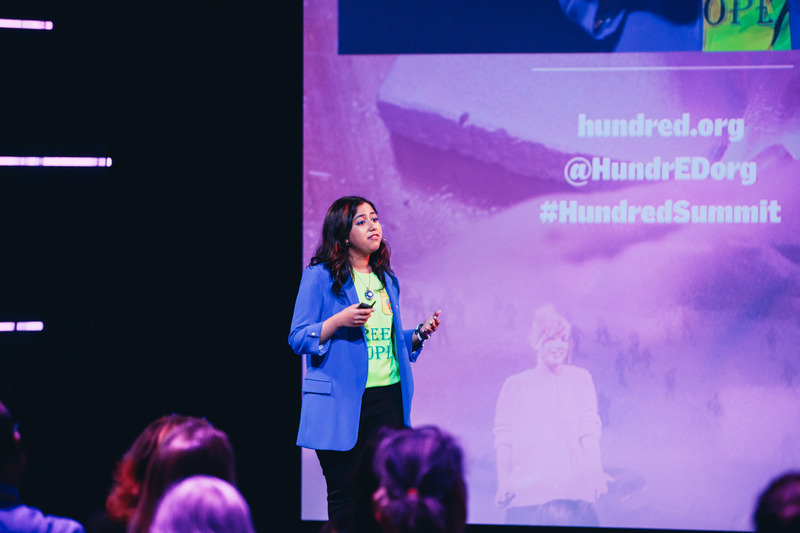 I really believe in that work that Hundred does and feel so blessed to be a part of things. 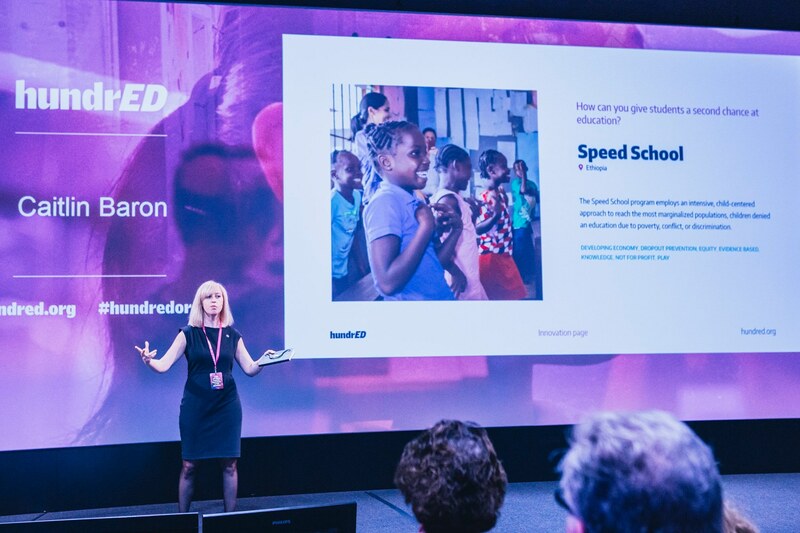 We at Luminos were so honored to be recognized by HundrED for our Speed School program. 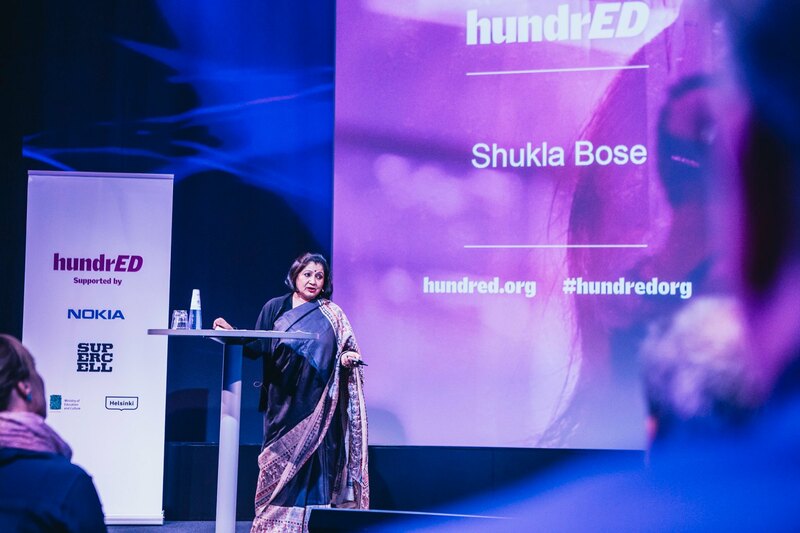 Being a HundrED award recipient has been a really helpful bit of recognition for the work, and such a meaningful validation for all our teachers who are working so hard to bring rich, joyful learning to children who have been denied the chance to go to school. 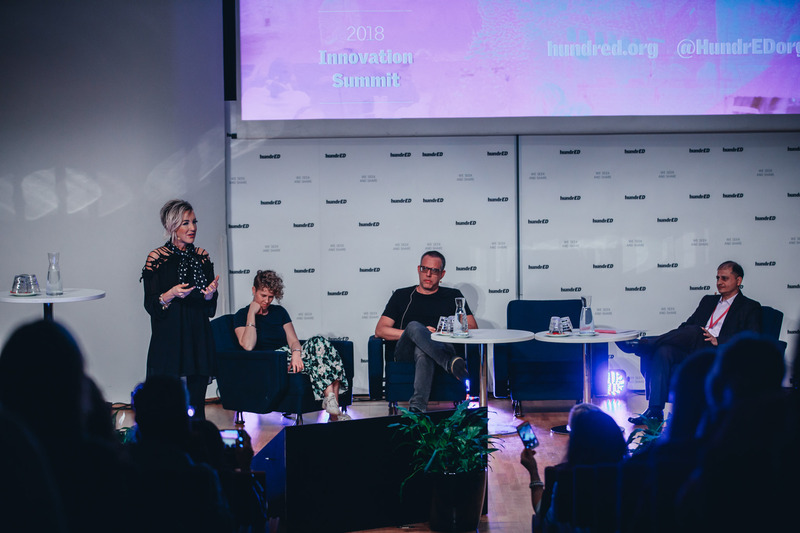 BRAC was honored to participate in the inaugural HundrED Global Innovation Summit last year. 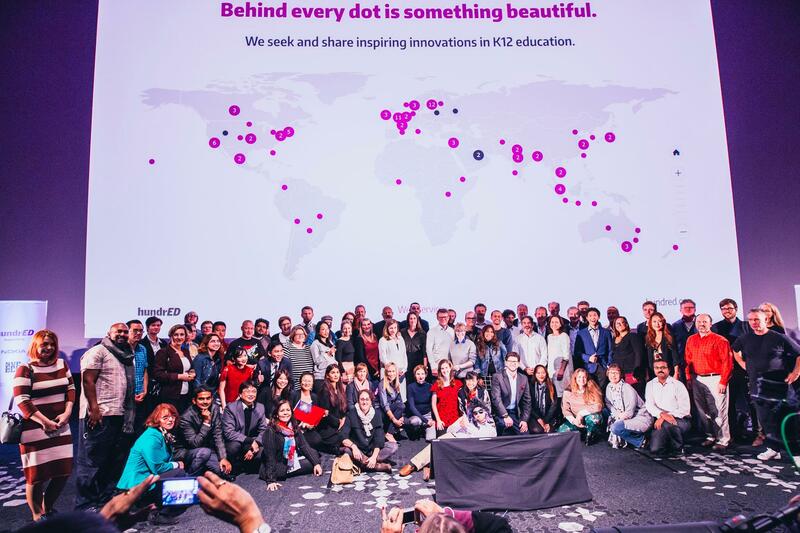 The rigorous application process elevated an impressive community of education innovators from around the world. 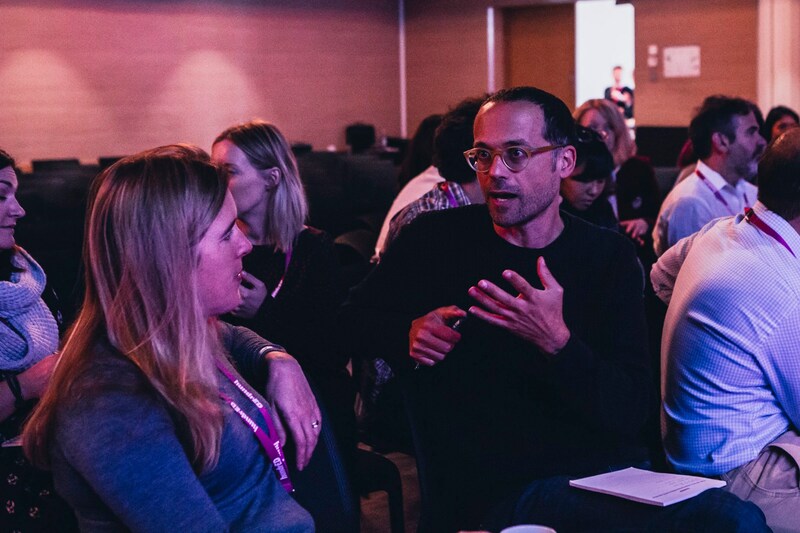 This made the opportunity to exchange ideas and develop partnerships at the convening that much more rewarding. 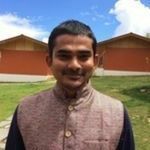 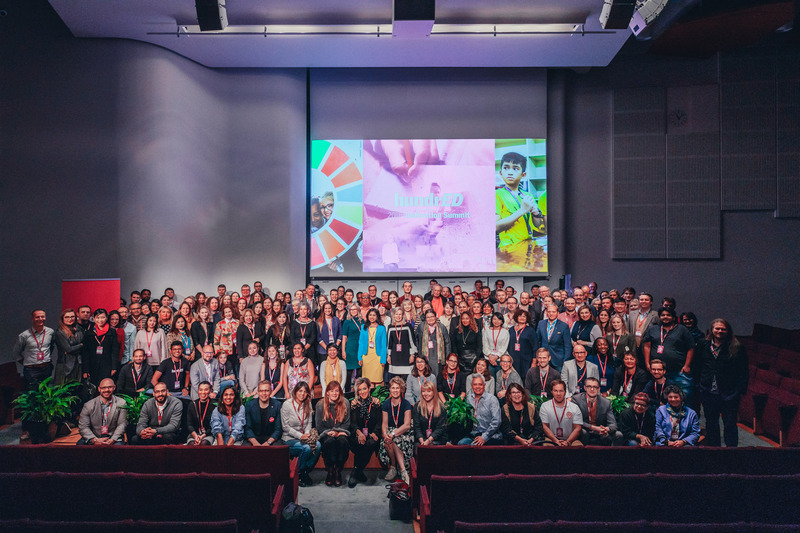 As a development organization, the unique mix of attendees provided a rich and diverse pool of resources to draw inspiration from, and the Summit offered a bridge to new audiences and global platform to share our work. 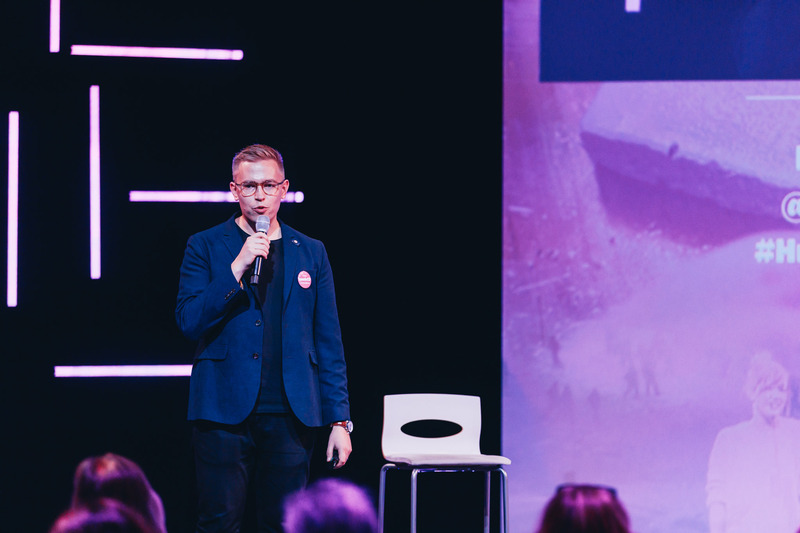 We are eager to return. 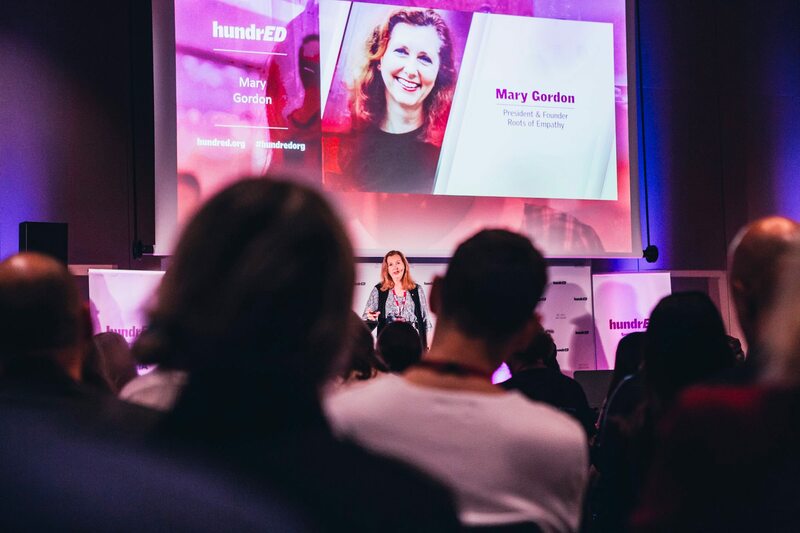 HundrED is the best partner you can have to share your innovation. 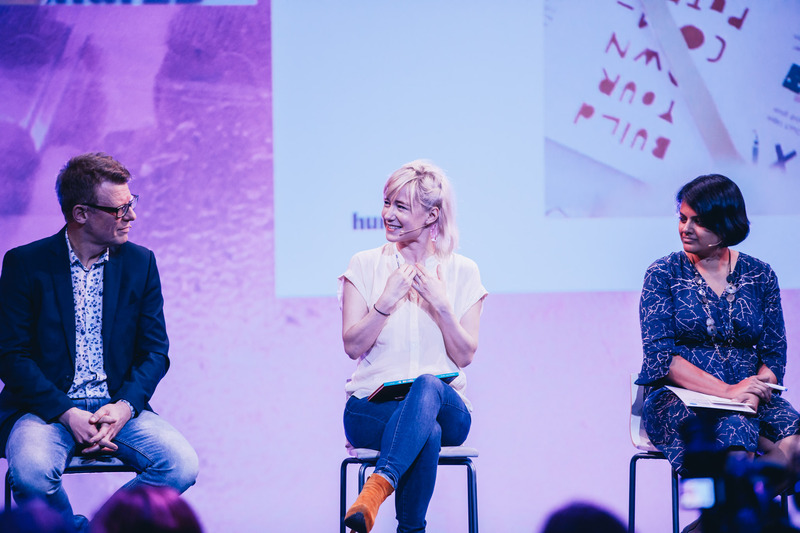 First, validates that what you're doing is innovative, scalable & has an impact. 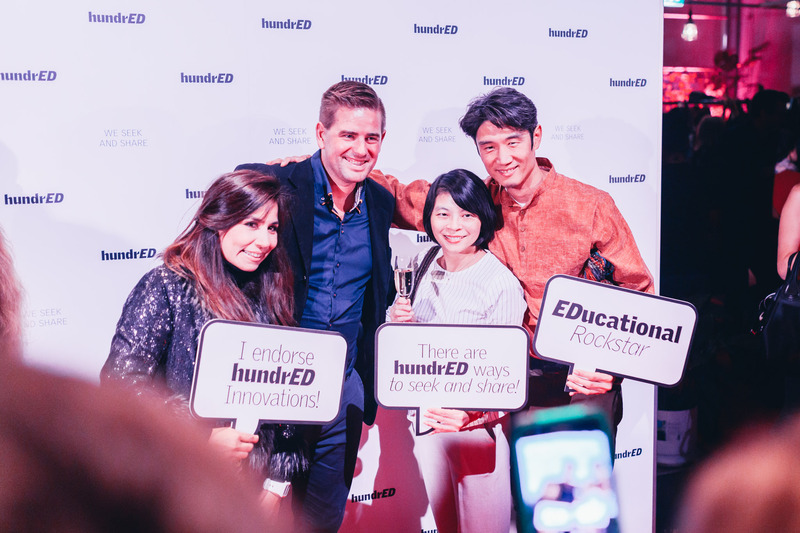 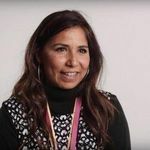 Then it gives you the opportunity to share it to the world and connects you to a network of schools, educators, students & institutions and also allows you to keep learning from other innovators that share their innovation as part of HundrED. 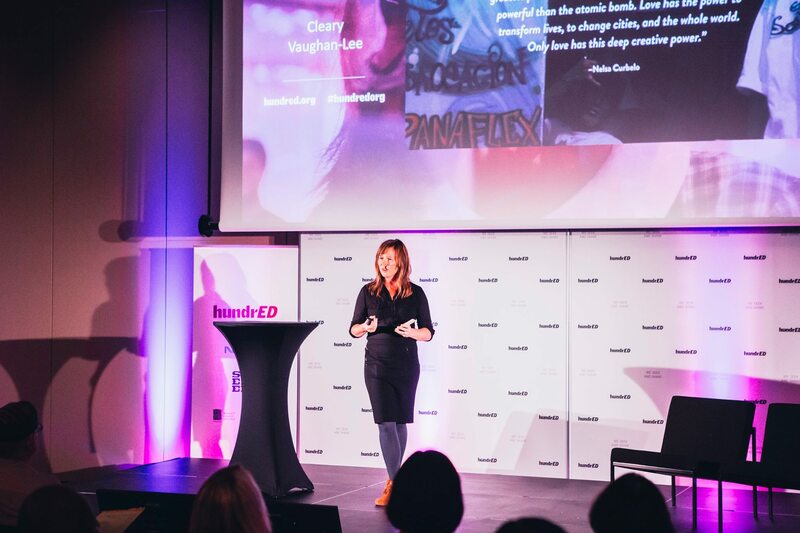 It really is an honour. 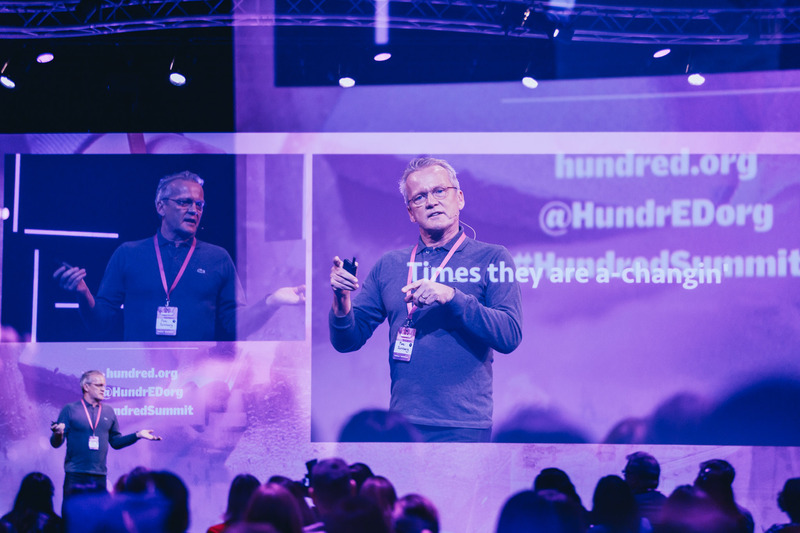 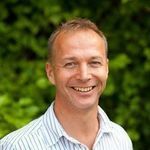 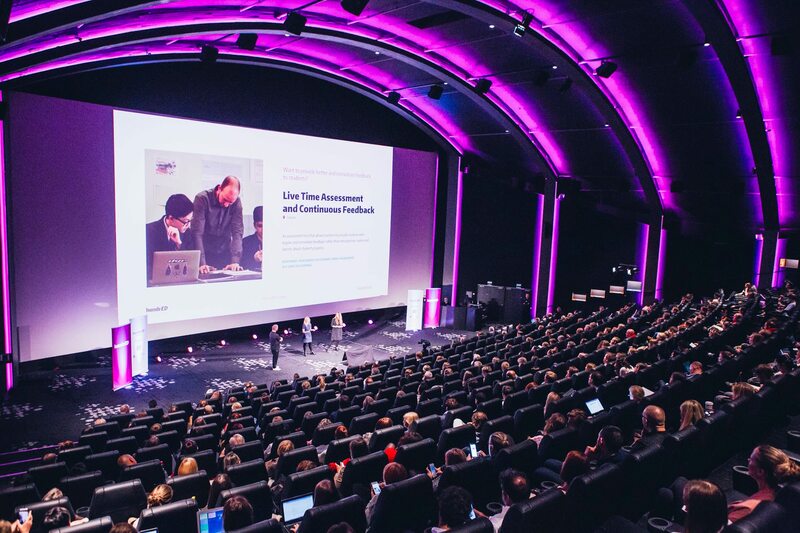 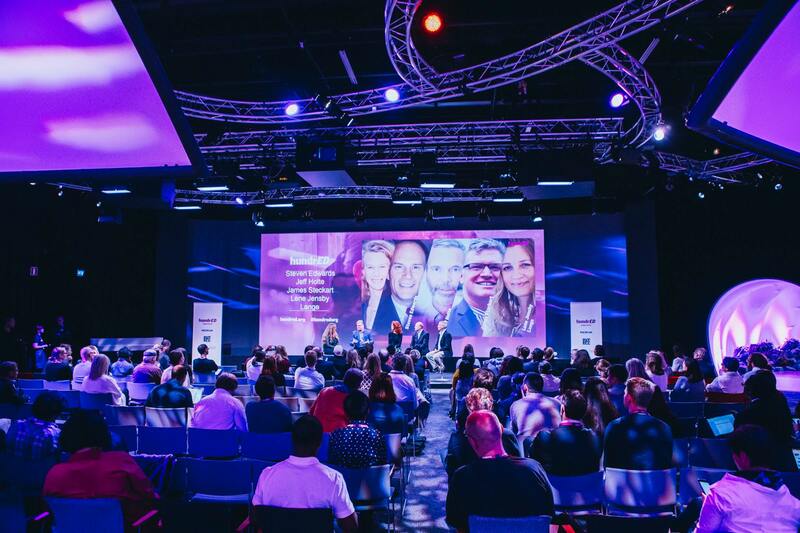 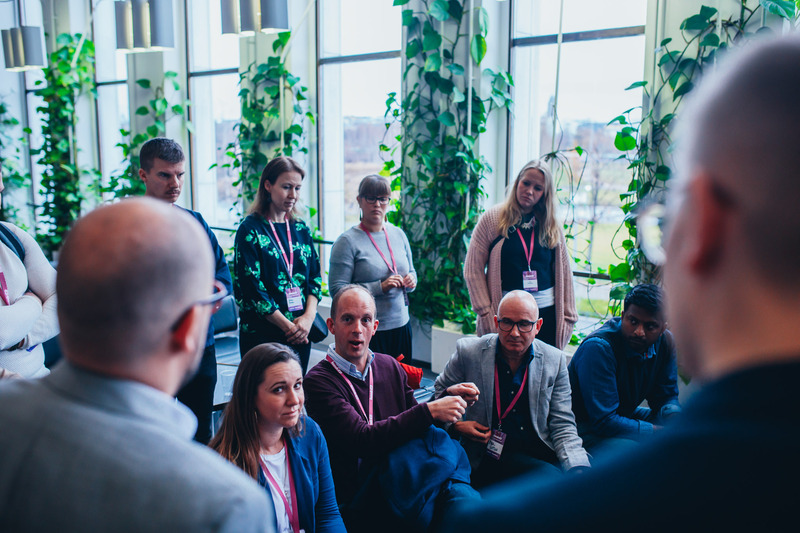 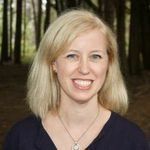 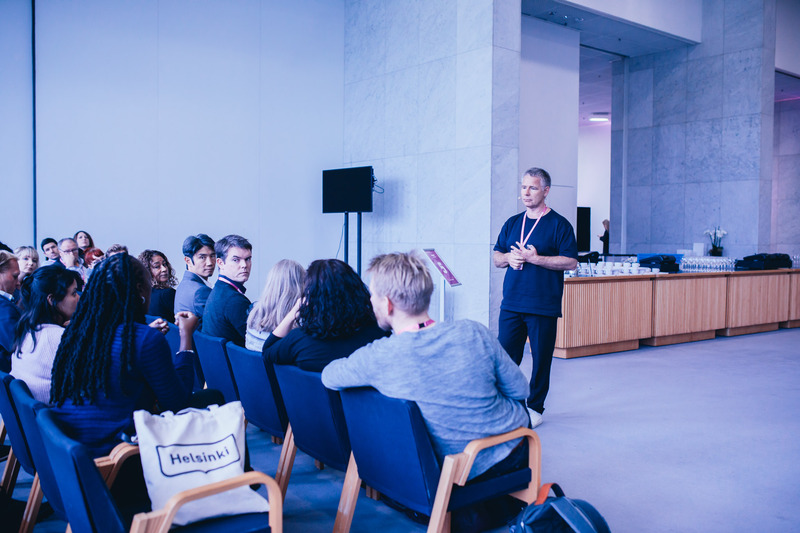 “Attending, and being an active part of HundrEd 2017 in Helsinki was a fantastic experience for more reasons than one. 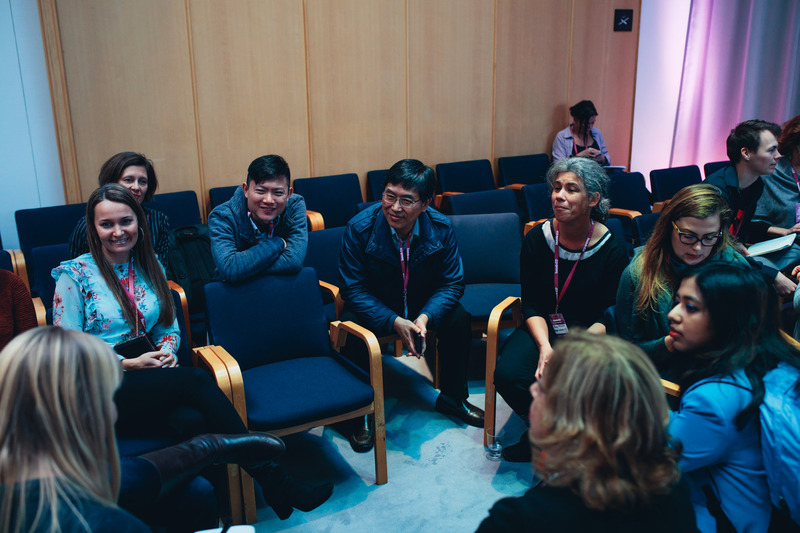 It was a well organized and highly informative event; we got to interact with professionals from around the world and learn from each other, understand the common problems we faced and brainstorm. 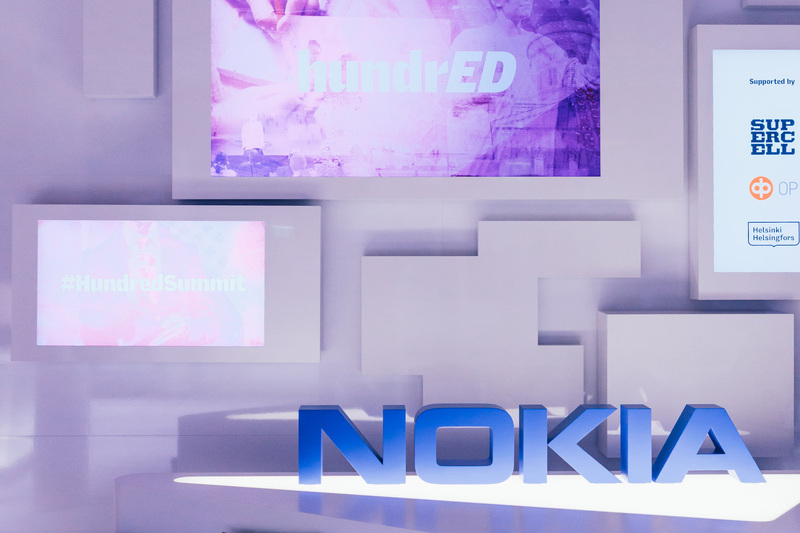 It was a great platform to showcase ideas and solutions on an international scale, which otherwise would have gone unnoticed. 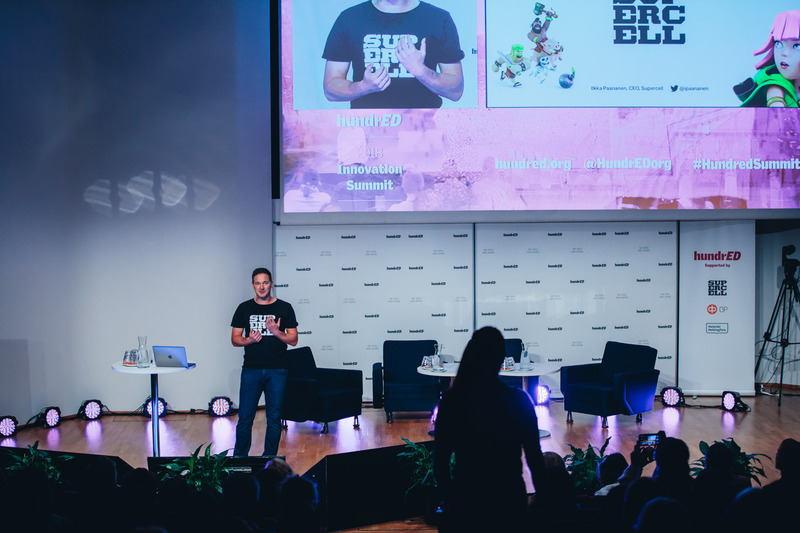 The icing on the cake was that it was held in Helsinki, Finland - a truly memorable place to be in." 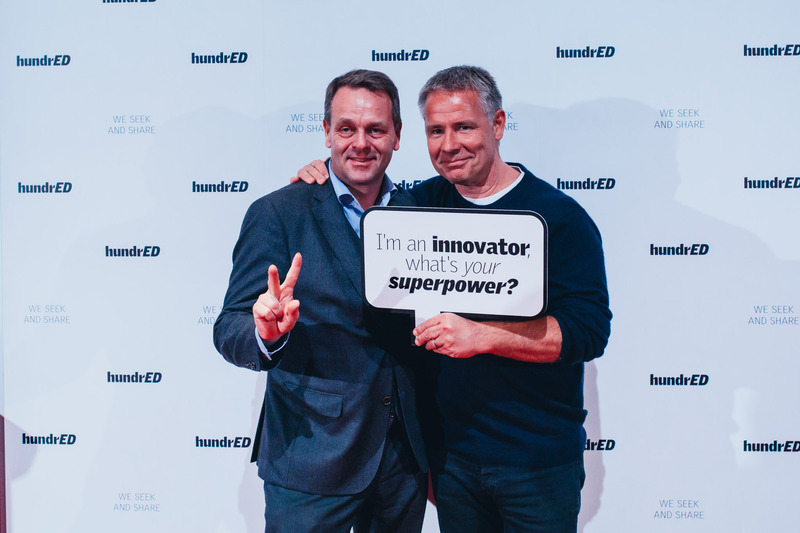 HundrED Global Innovator's Summit was some of the best professional development I've ever attended as an educator. 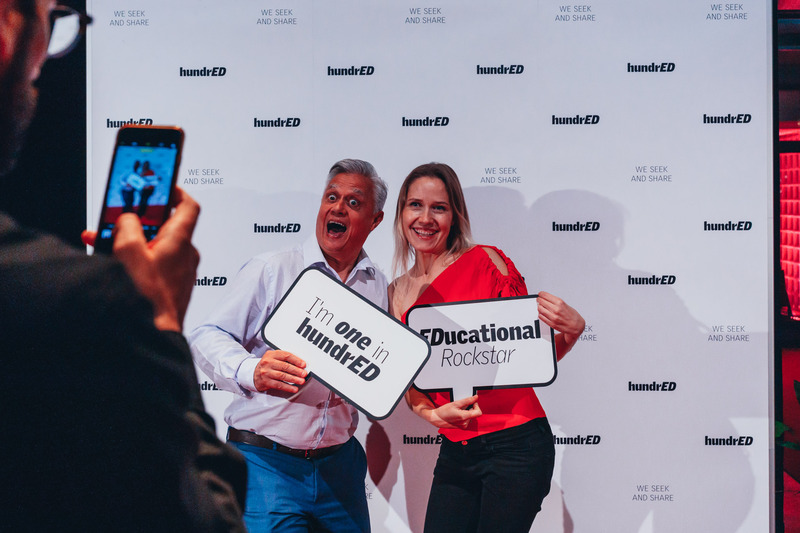 It was like the superbowl for educators and I got the opportunity to rub shoulders with some of therockstars of learning. 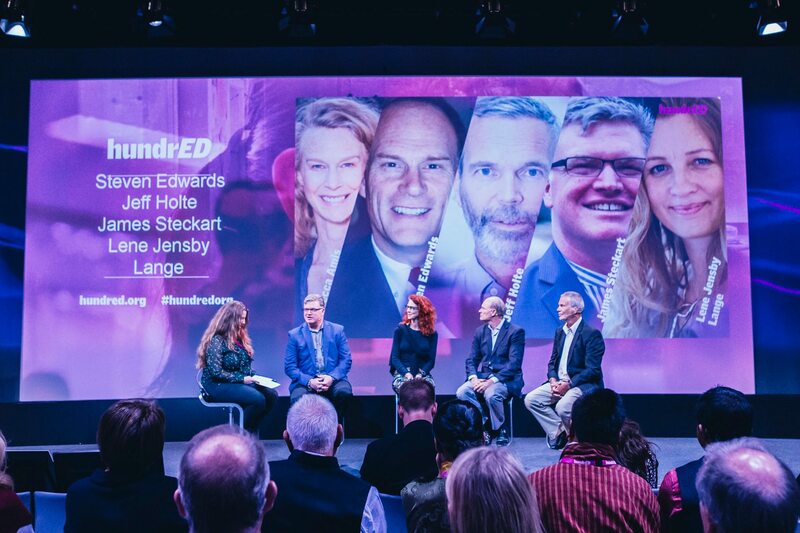 I got the chance to learn from leaders in the field and network with people at the forefront of education. 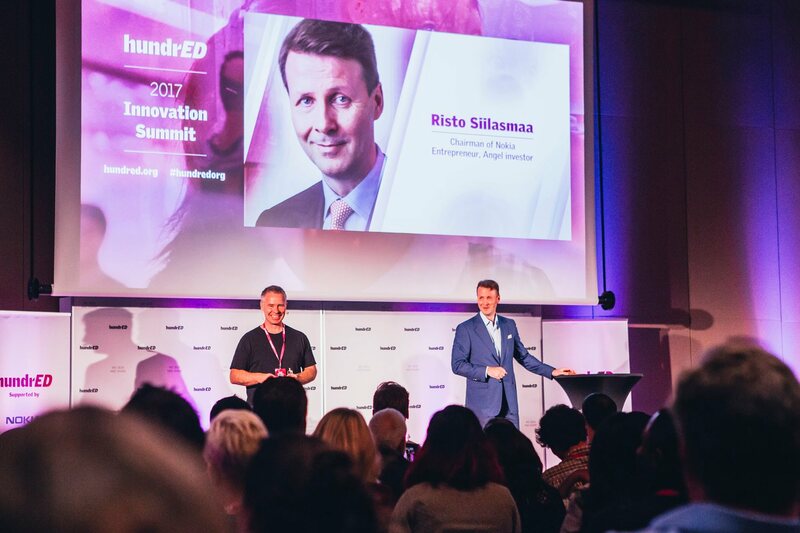 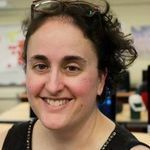 I have implemented so many of the innovations and lessons that I saw at the summit and I know I am a better educator, my school is more leading edge and my students are more engaged than before I attended the summit. 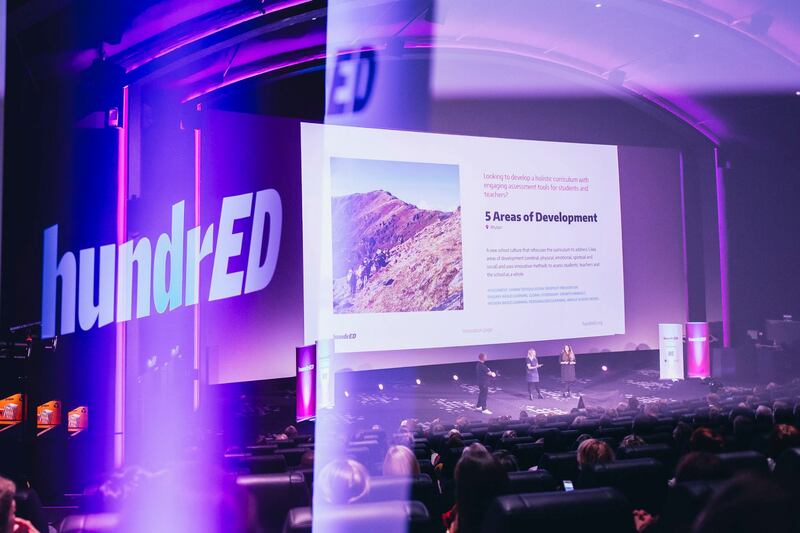 If you only attend one educational event - make it this one!